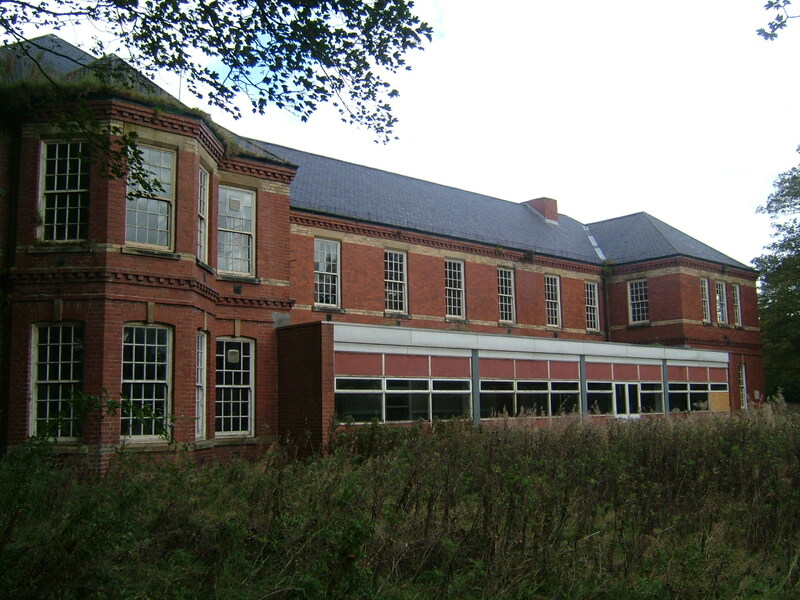 Under the reforms imposed by the Local government Act of 1889, Gateshead became a county borough within it’s own right, administratively independant from the County of Durham and within the next twenty years it became evident that pressures for space at the county’s Sedgfield asylum would lead to the end of contracts with the new Gateshead authority. 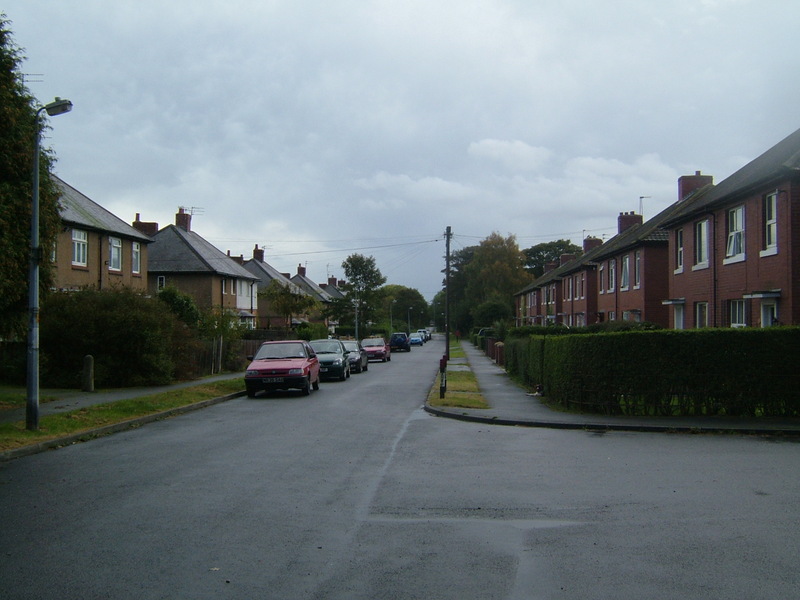 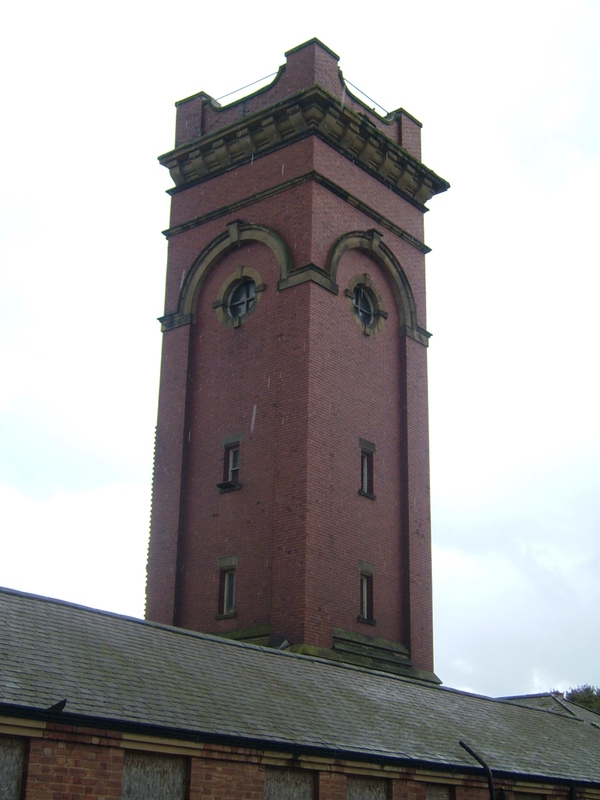 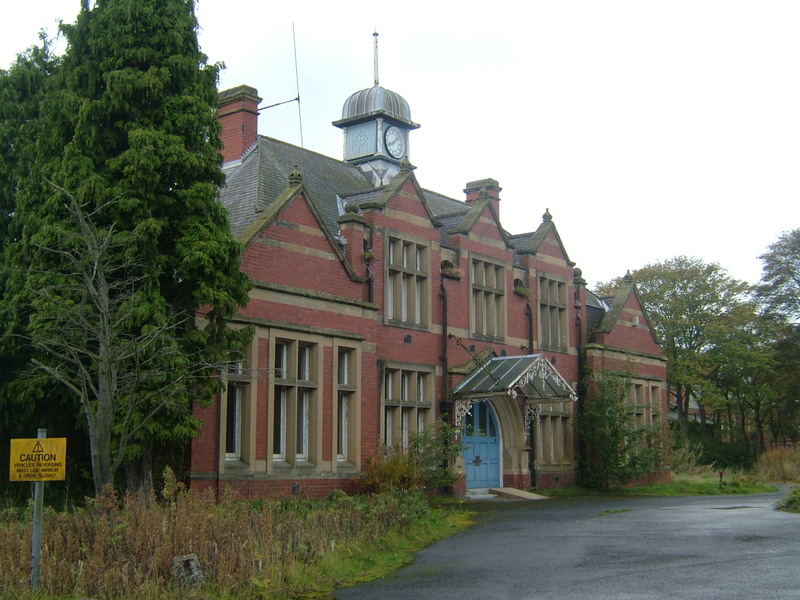 By 1910 Gateshead corporation had purchased part of the isolated West Duddo estate west of the Village of Stannington in the neighbouring county of Northumberland and were to engage George Hine and Carter-Pegg as architect for the new 500 capacity asylum to be built there. 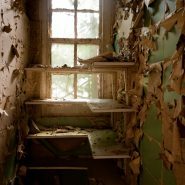 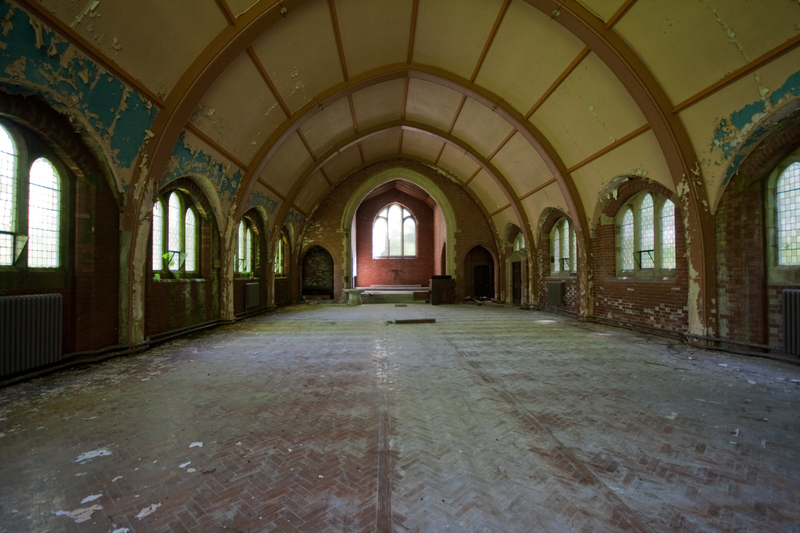 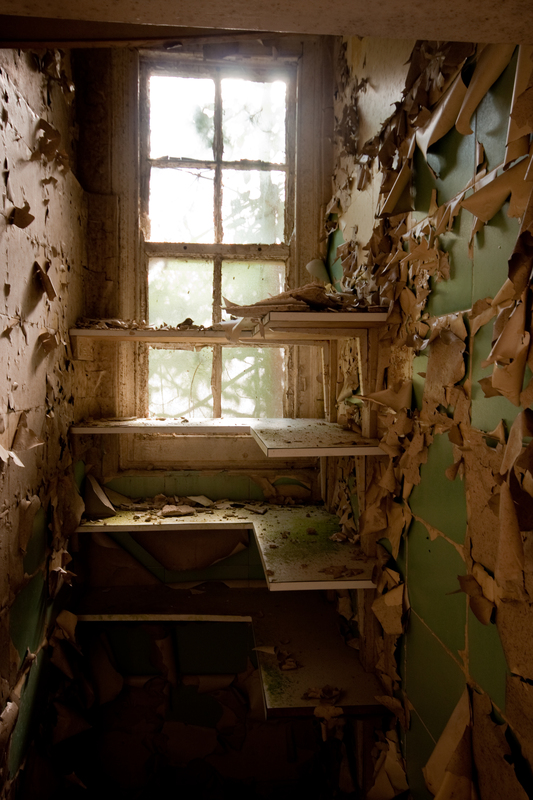 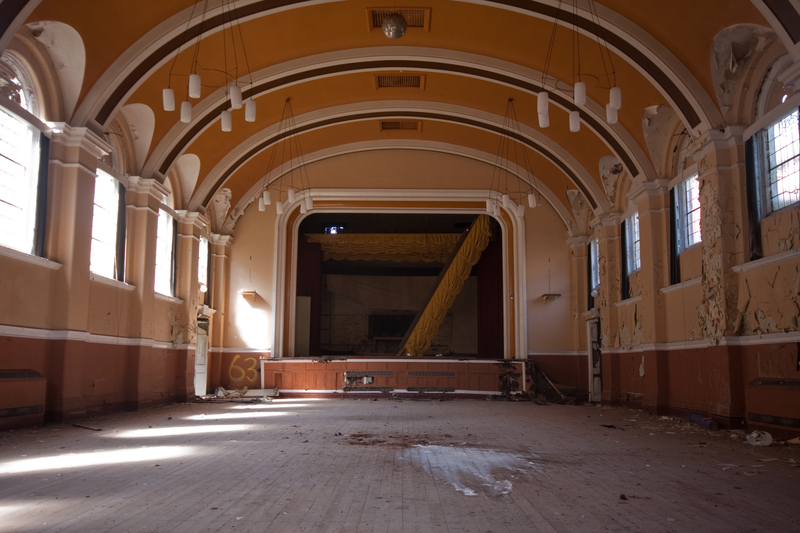 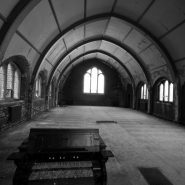 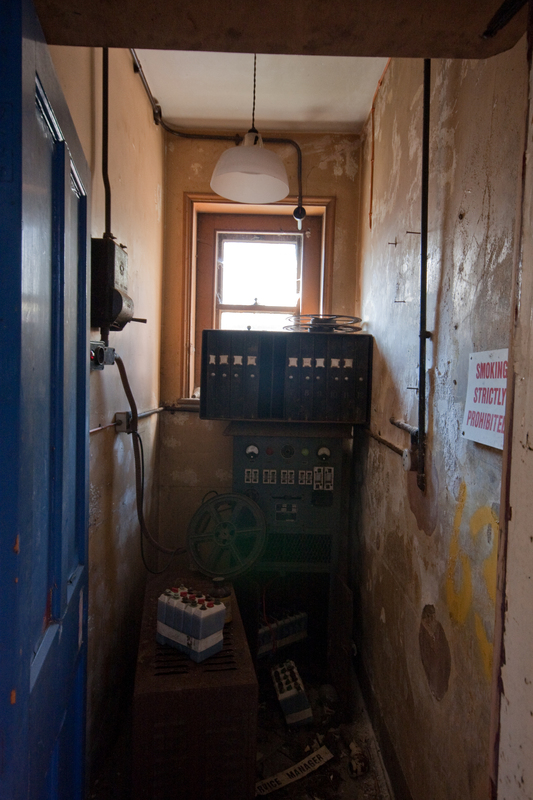 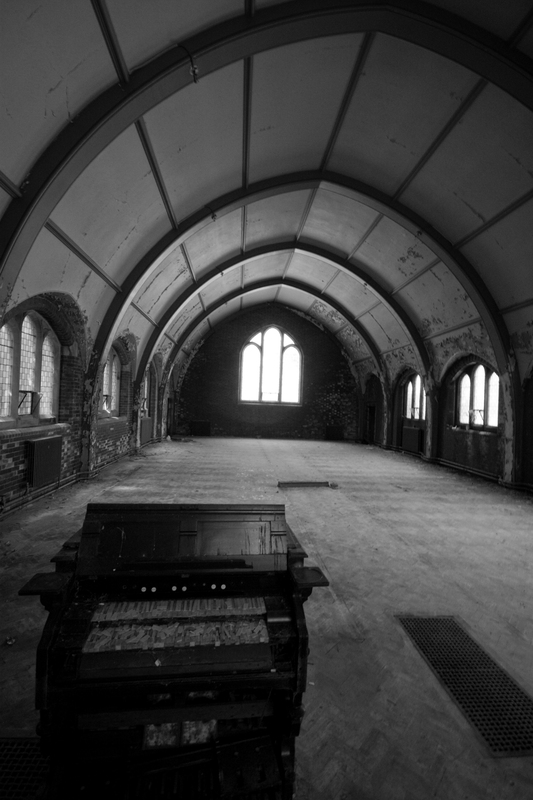 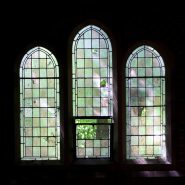 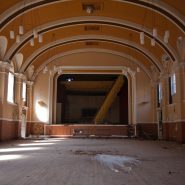 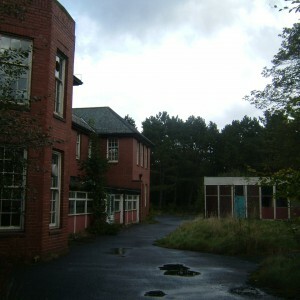 The asylum would be the last project to be completed by Hine during his lifetime. 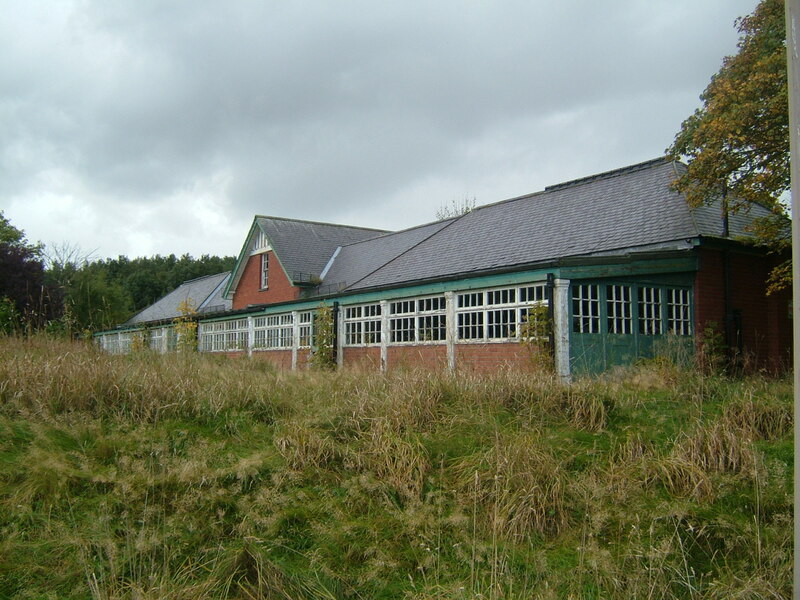 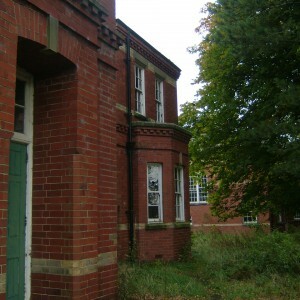 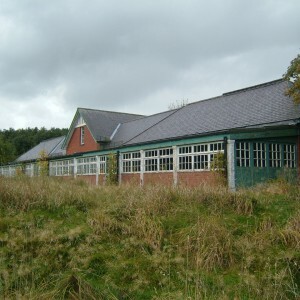 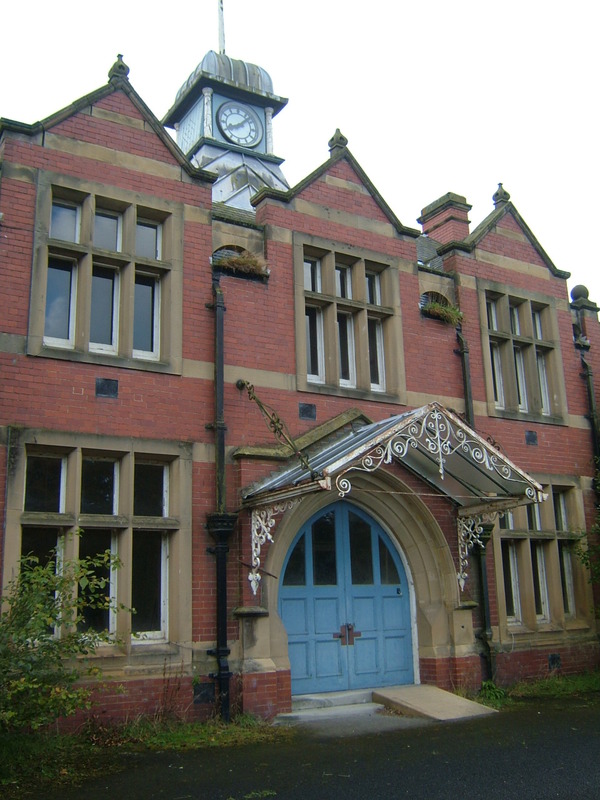 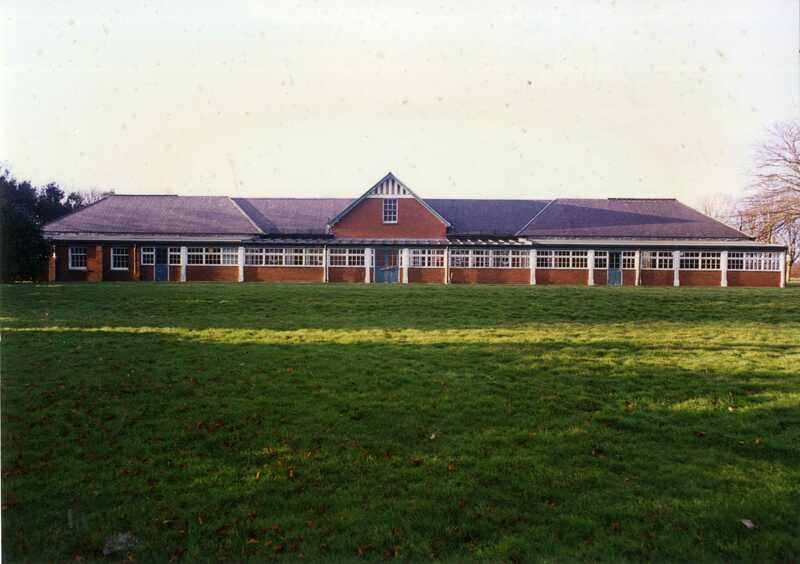 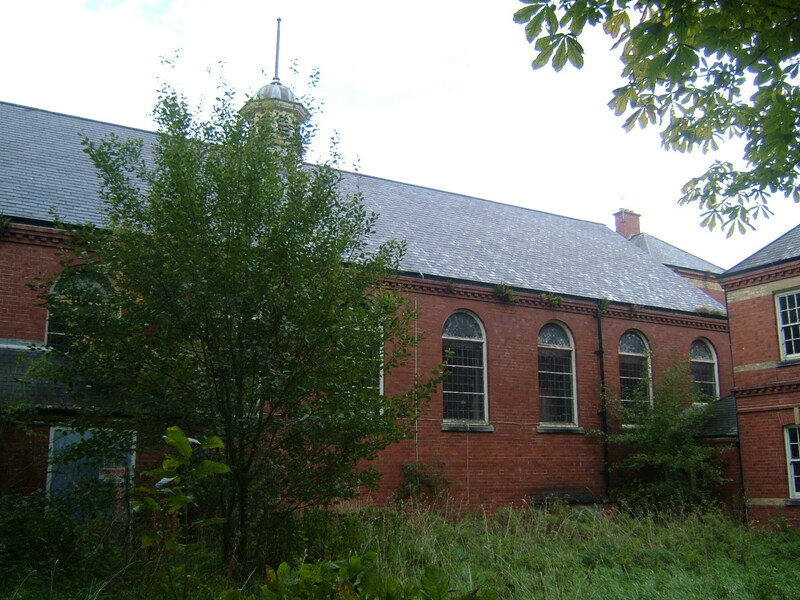 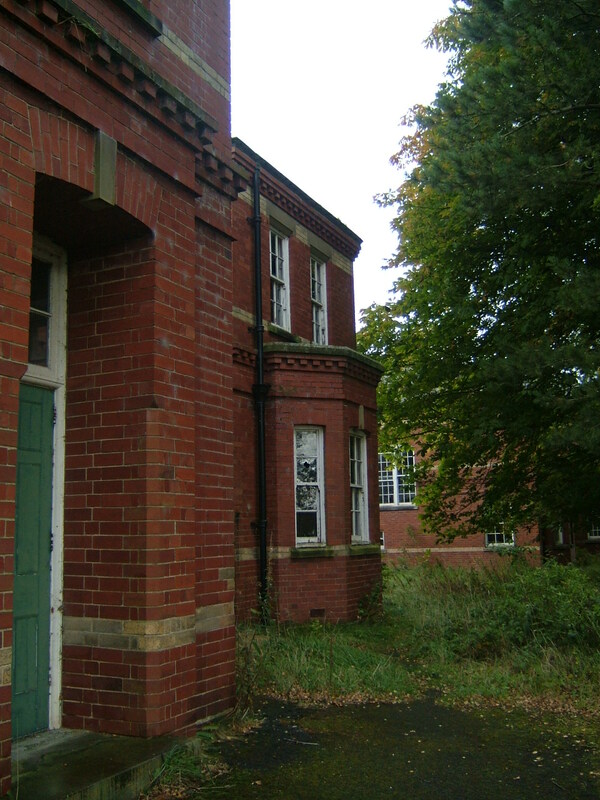 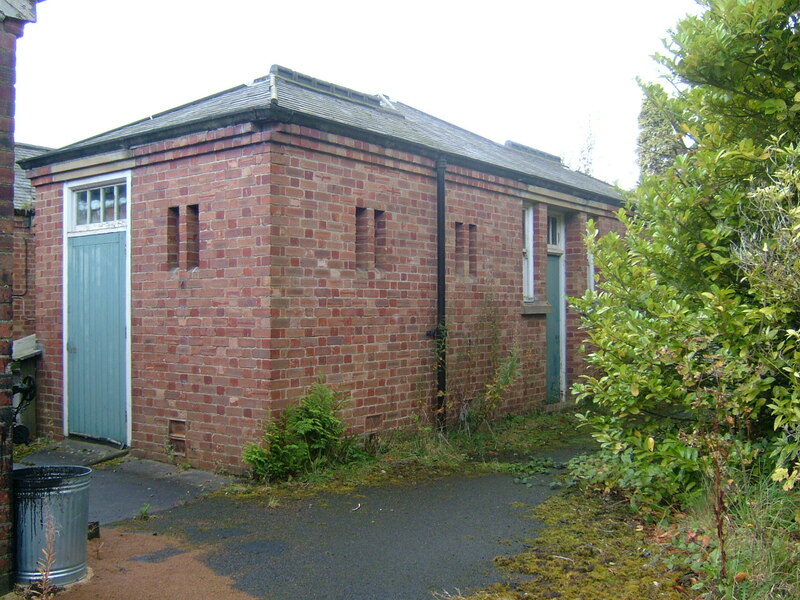 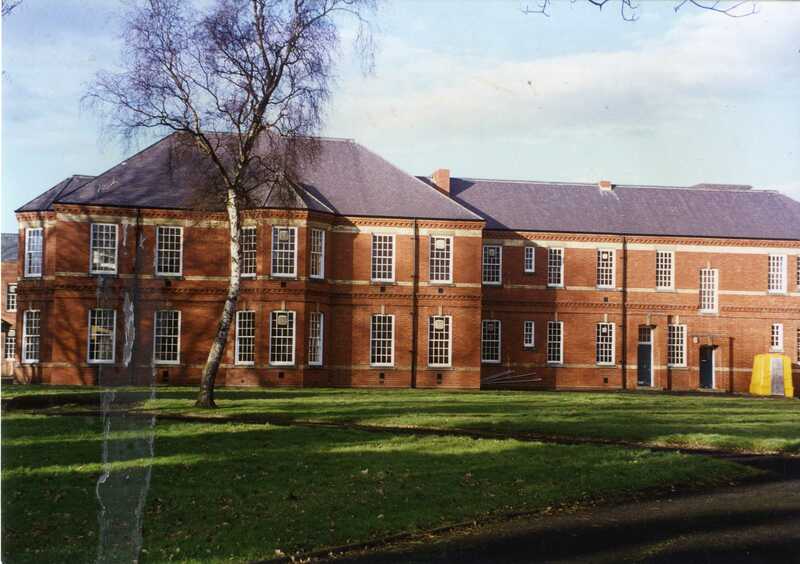 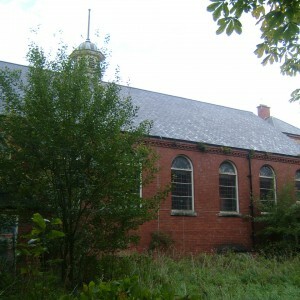 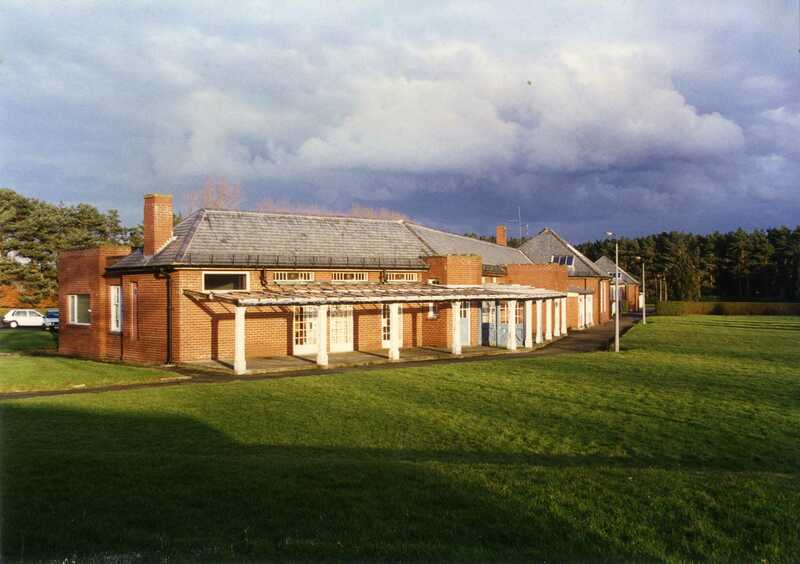 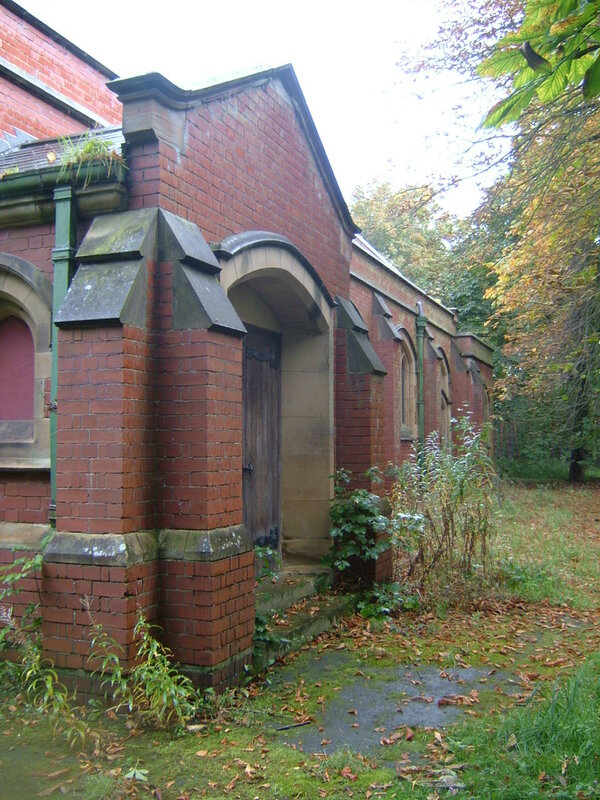 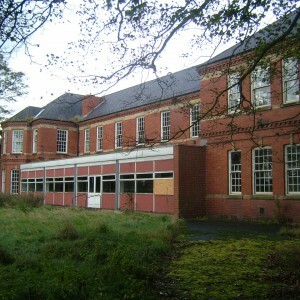 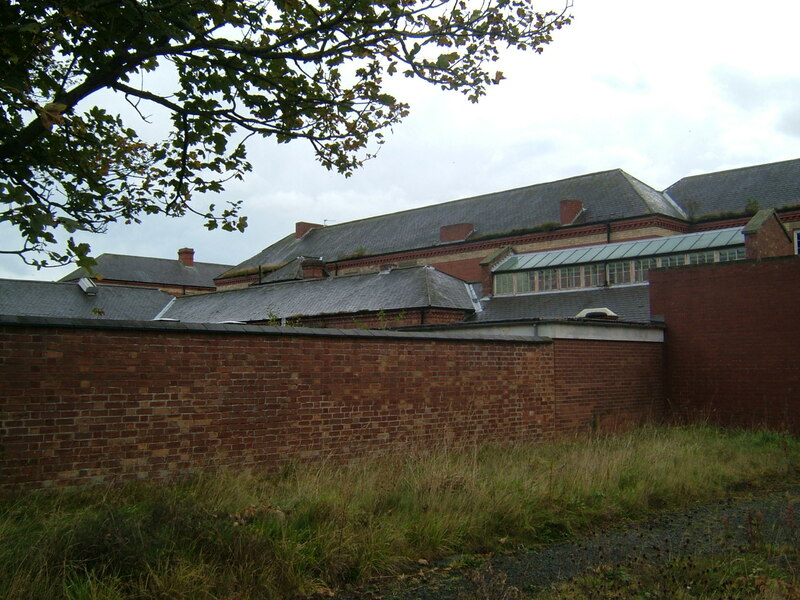 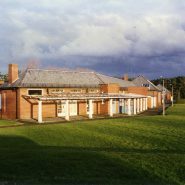 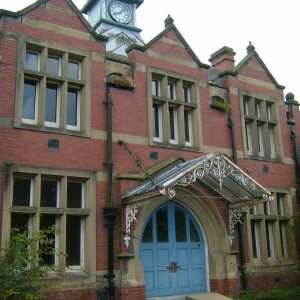 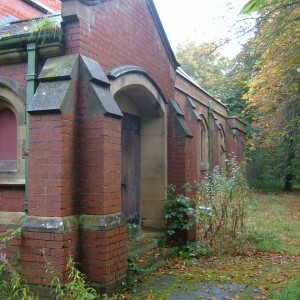 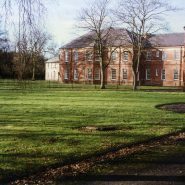 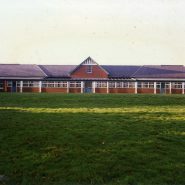 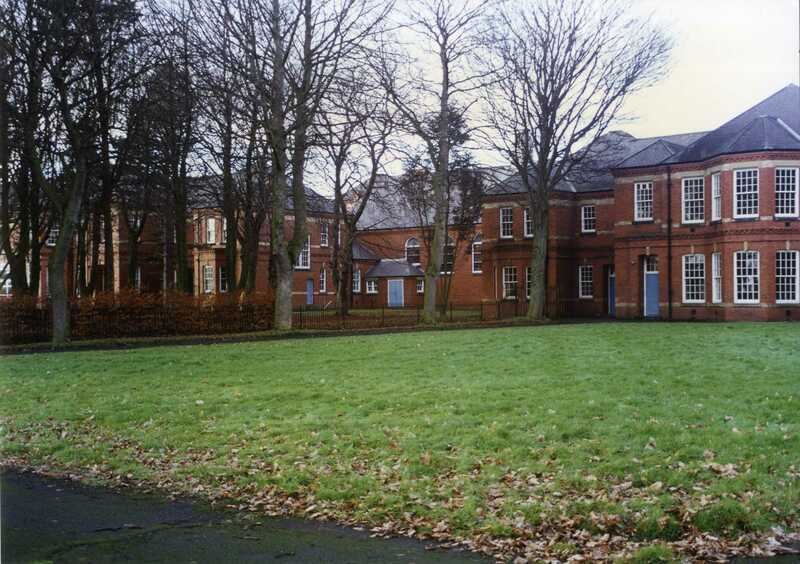 The structures were in typical Hine style of red brick with yellow brick banding, multiple-paned sashes, concrete lintels and with grey slate roofs.The pricipal ward blocks were positioned en-echelon facing plantations to the south separated by the recreation hall, with male and female departments and services to the east and west respectively and separated by central services flanked by three-storey staff blocks. 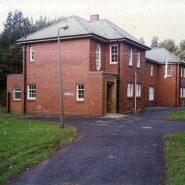 The administration block, similar in style to those already existing at East Sussex and Hertfordshire asylums faced out onto a formal green space with various access routes to the chapel and isolation hospital, superintendent’s residence and main entrance. 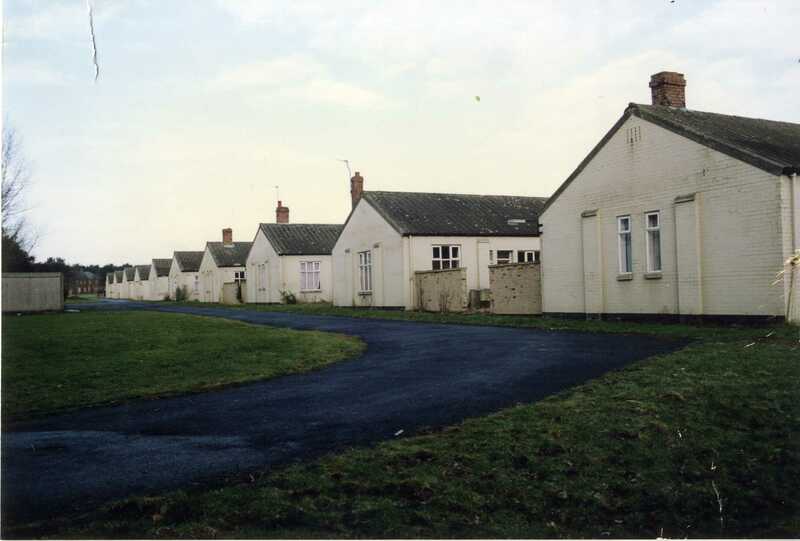 The main drive and gates formed part of a patte d’oie arrangement with spur routes leading to the main hospital, six pairs of married staff cottages residence and farmland enforcing the self contained nature of the site. 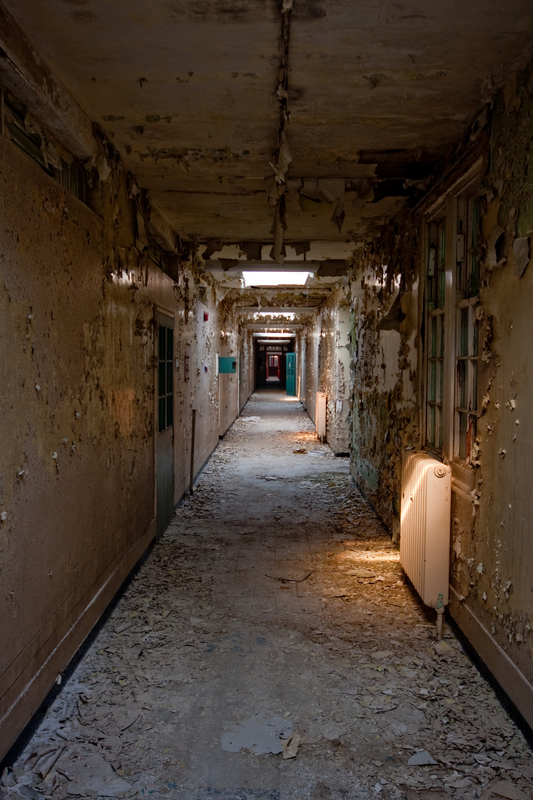 Almost as soon as the asylum was opened, it was requisitioned by the military for the duartion of World War I. 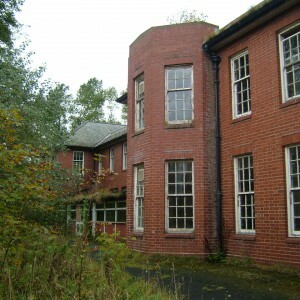 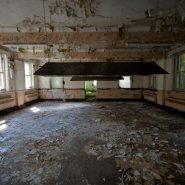 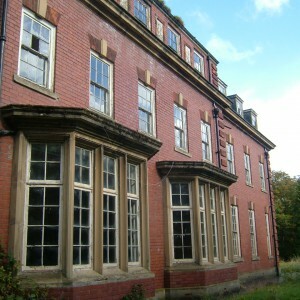 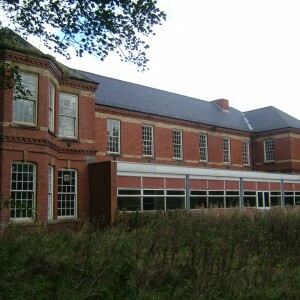 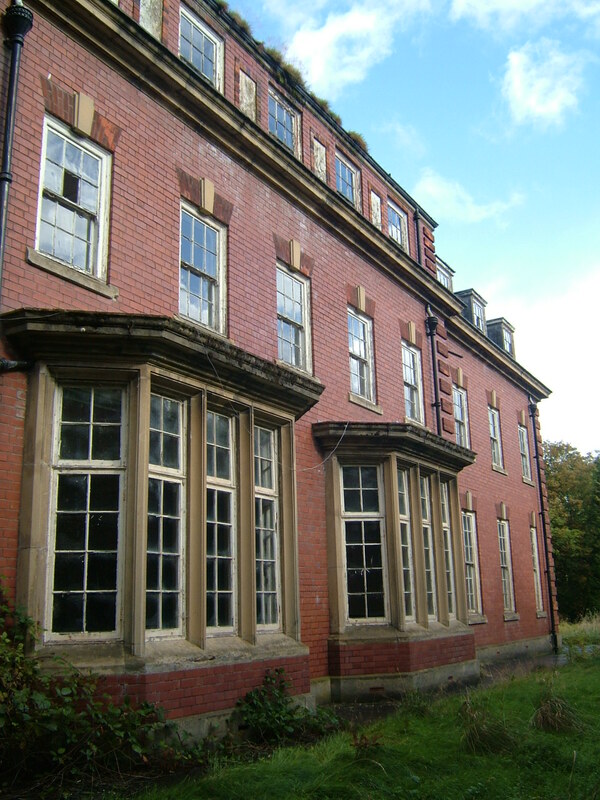 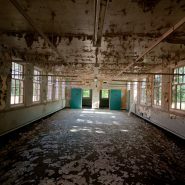 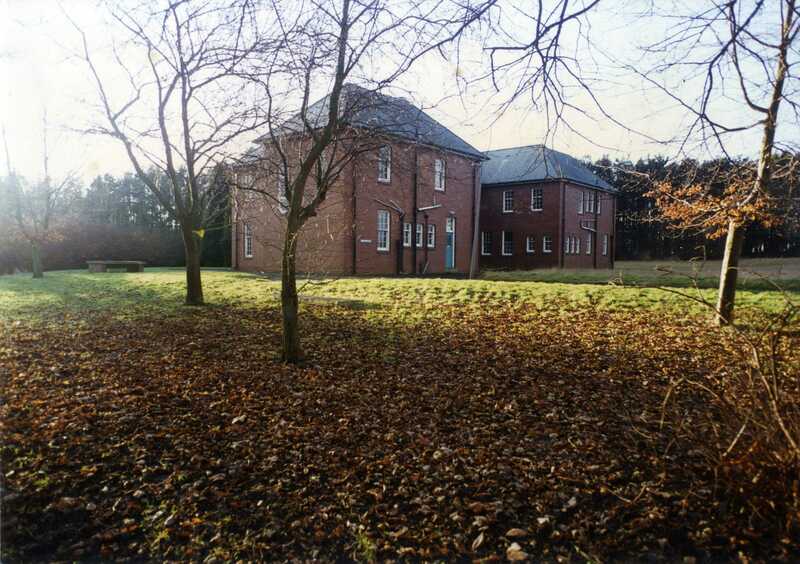 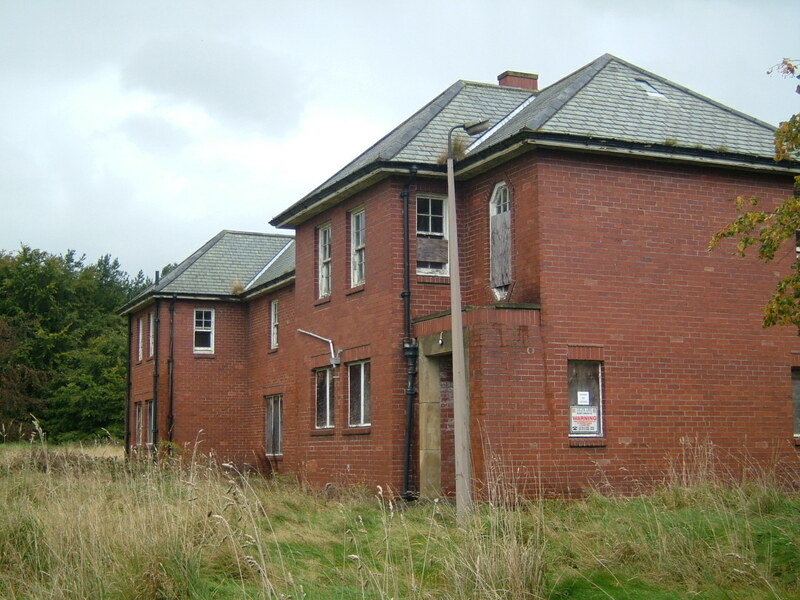 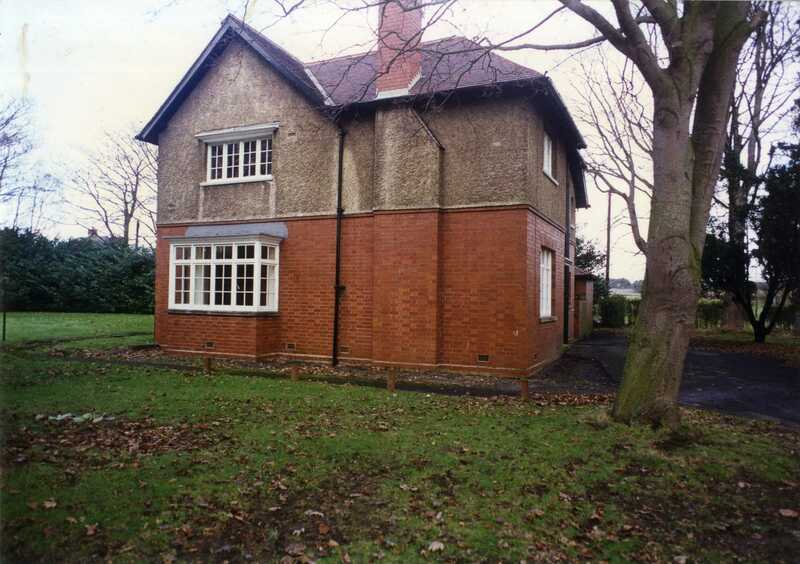 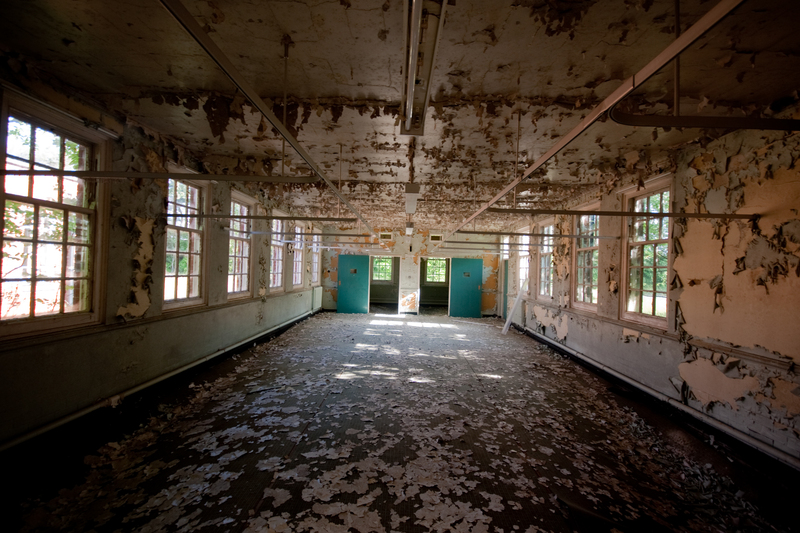 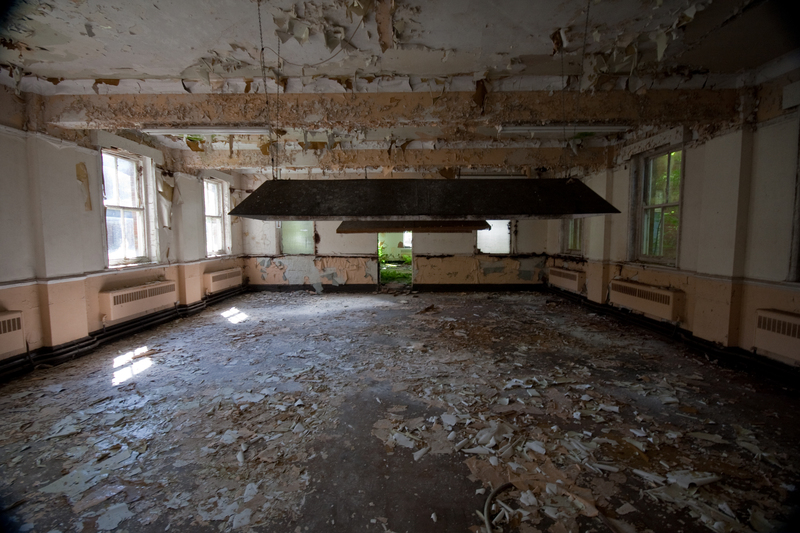 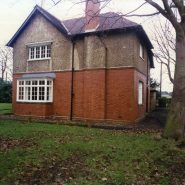 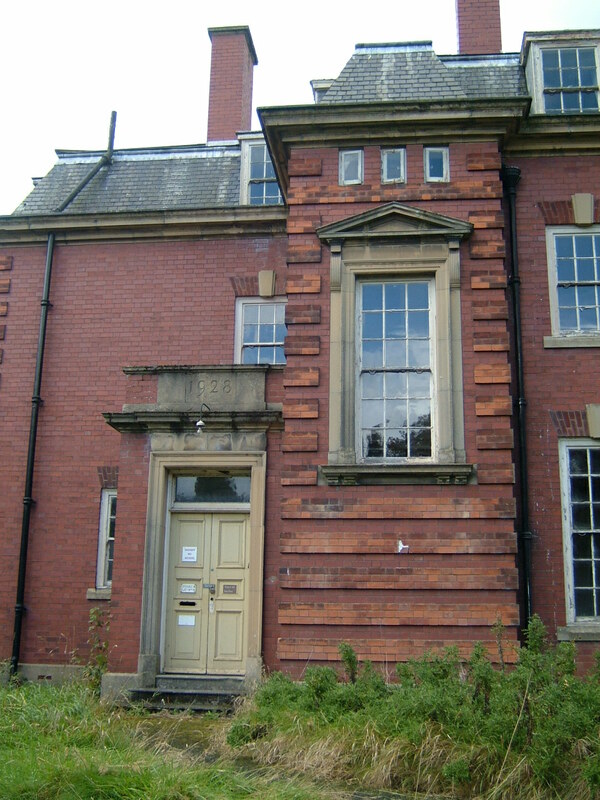 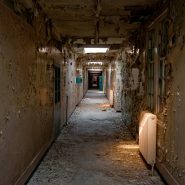 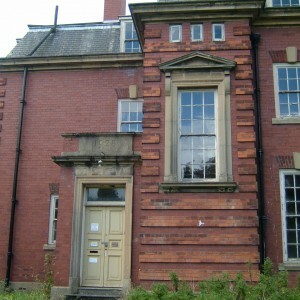 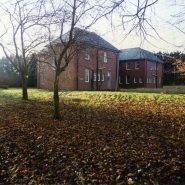 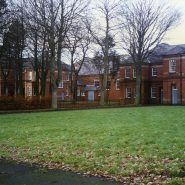 Following the end of its war duties the site was returned to Gateshead who addded a nurse’s home in 1927-8 and modified the isolation hospital to form a sanatorium for tuberculosis patients. 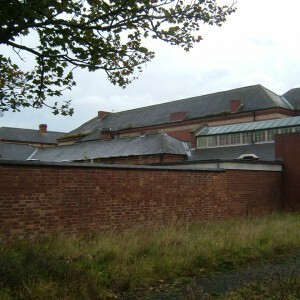 Further pressure on the County Durham mental hospital led to a union with the neighbouring county boroughs of West Hartlepool and South Shields during the 1930’s. 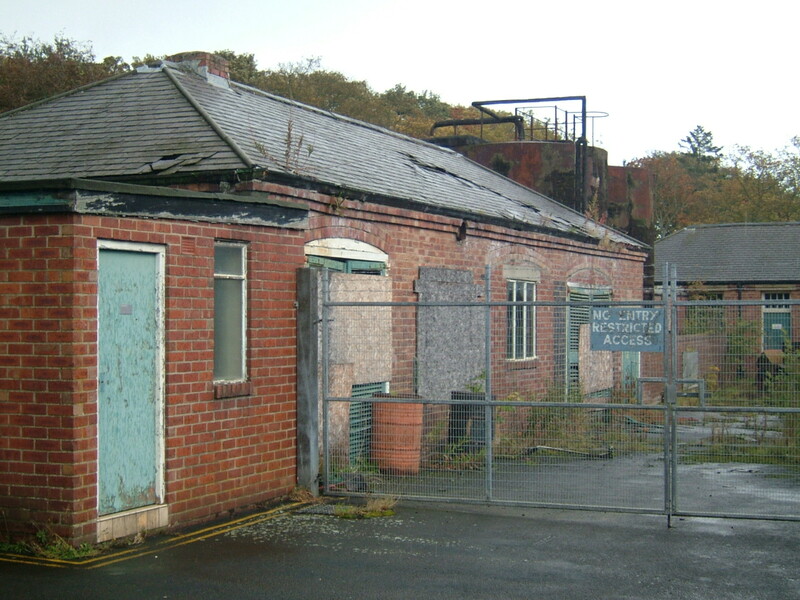 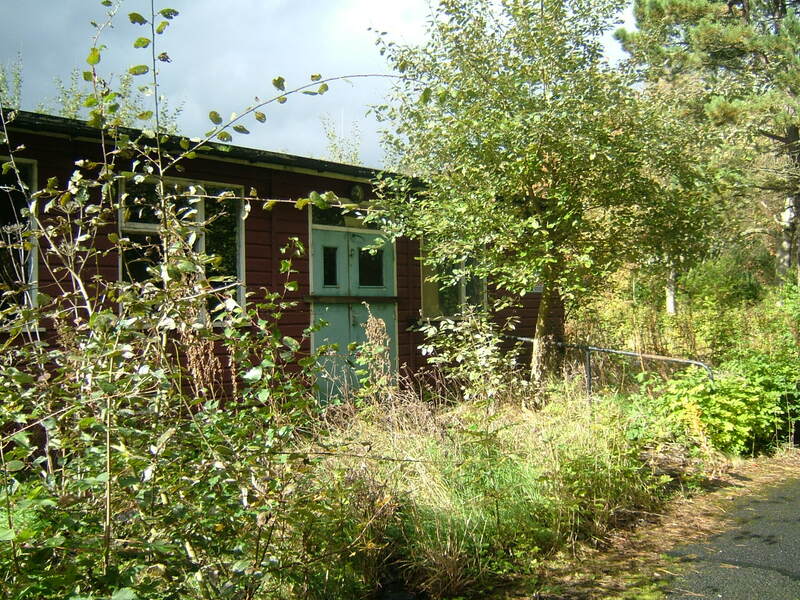 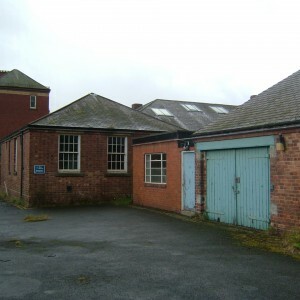 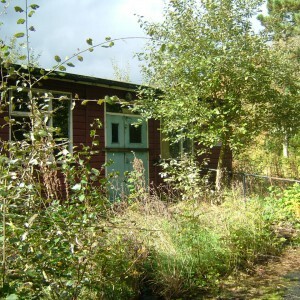 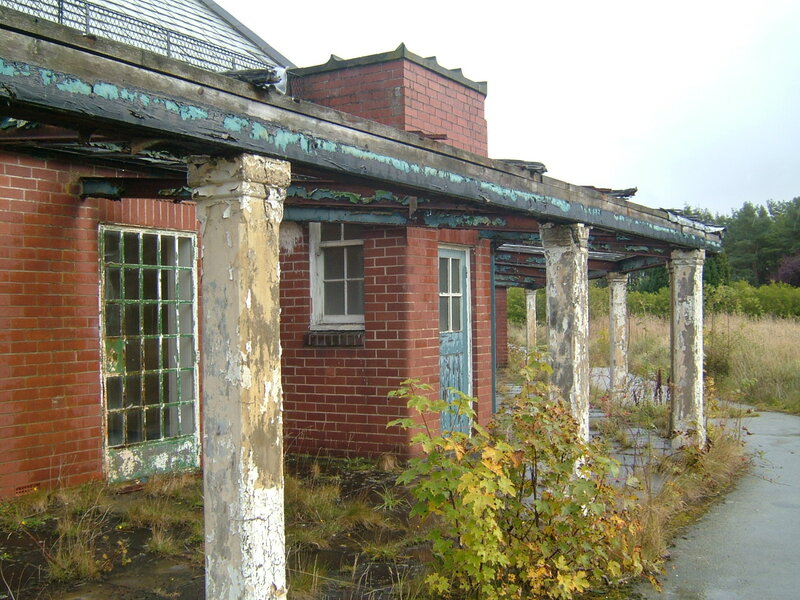 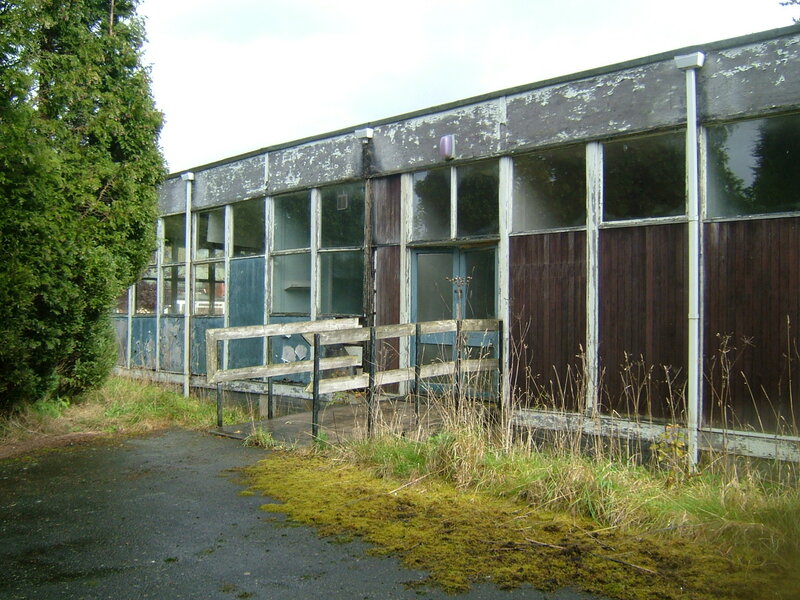 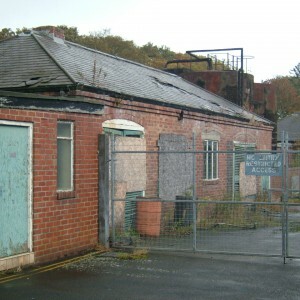 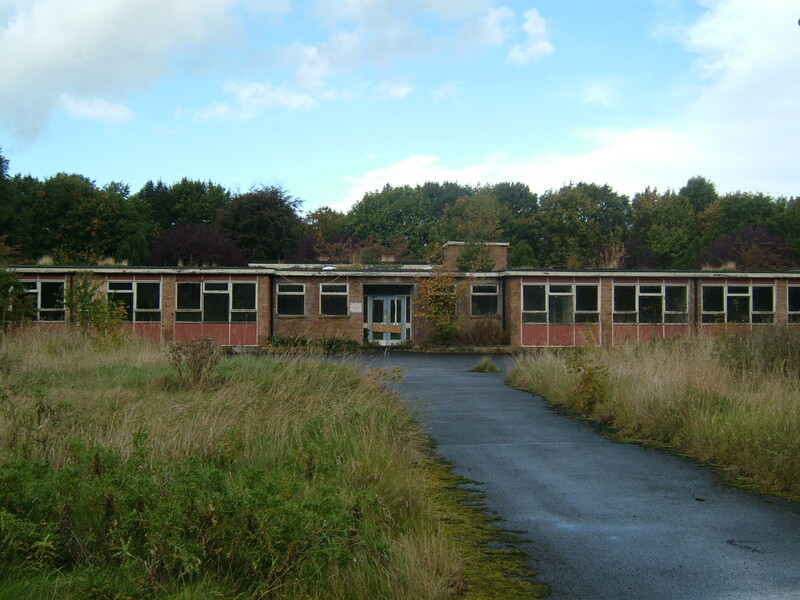 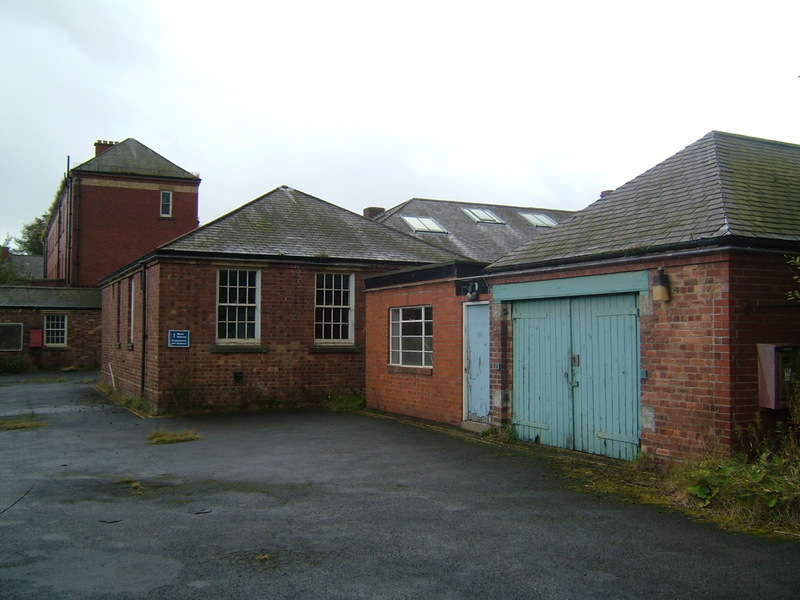 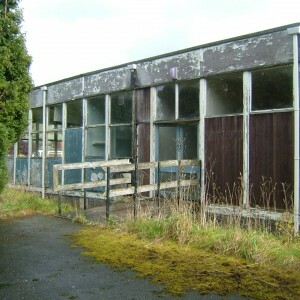 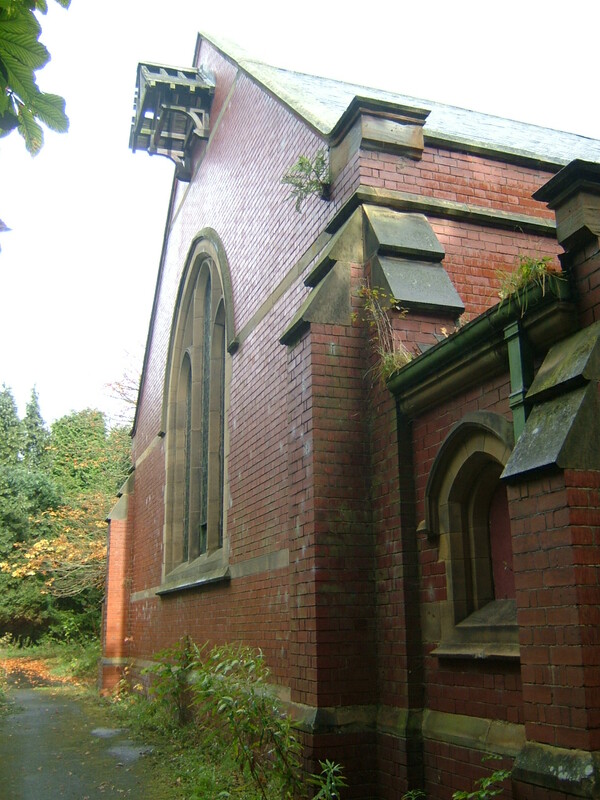 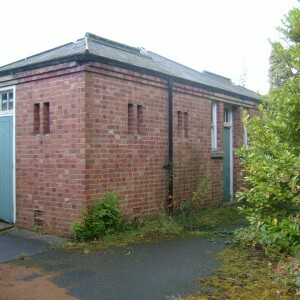 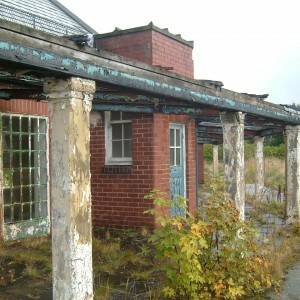 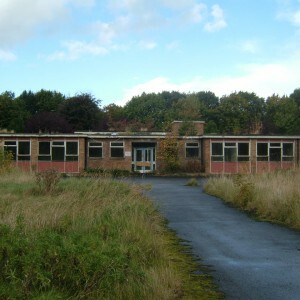 The joint funding and demand for further space provided impetus for major additions to the Stannington sitewhich would be completed in 1939. 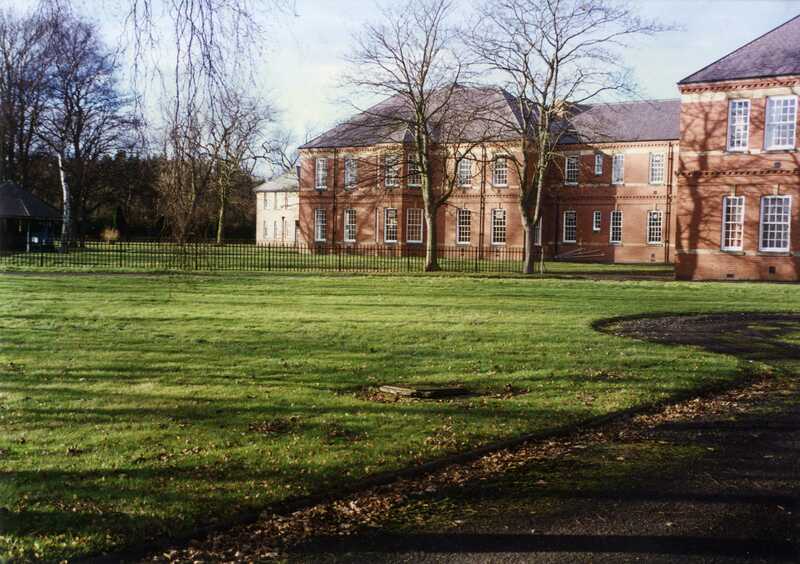 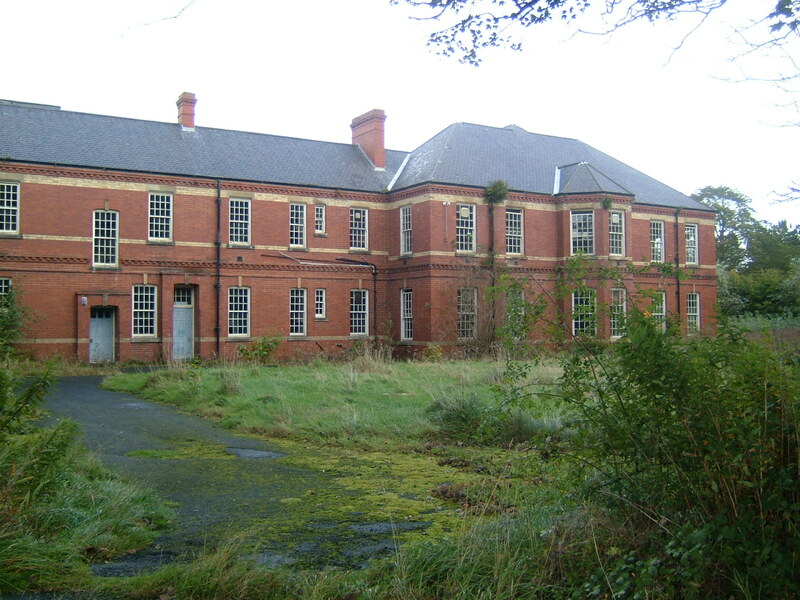 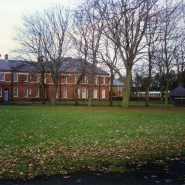 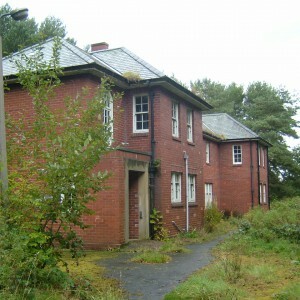 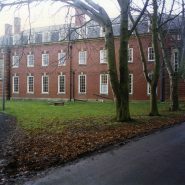 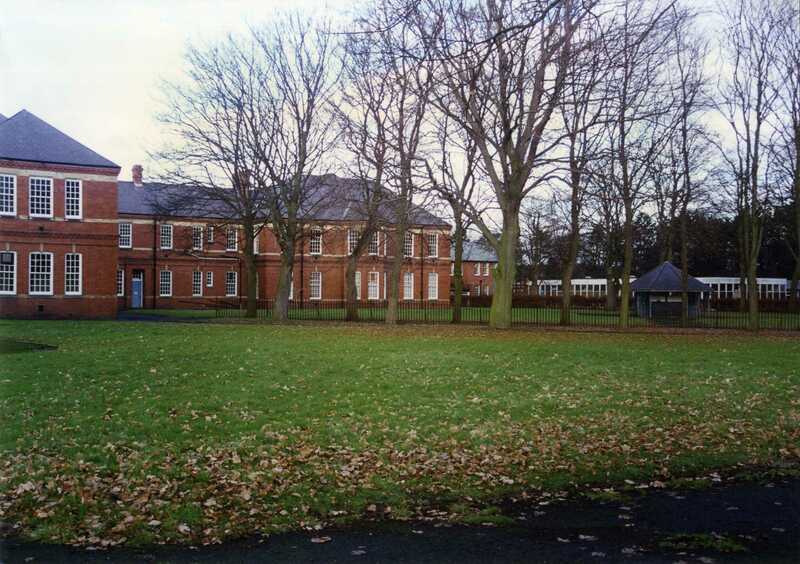 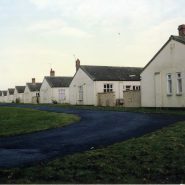 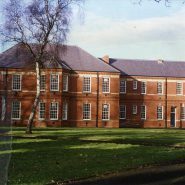 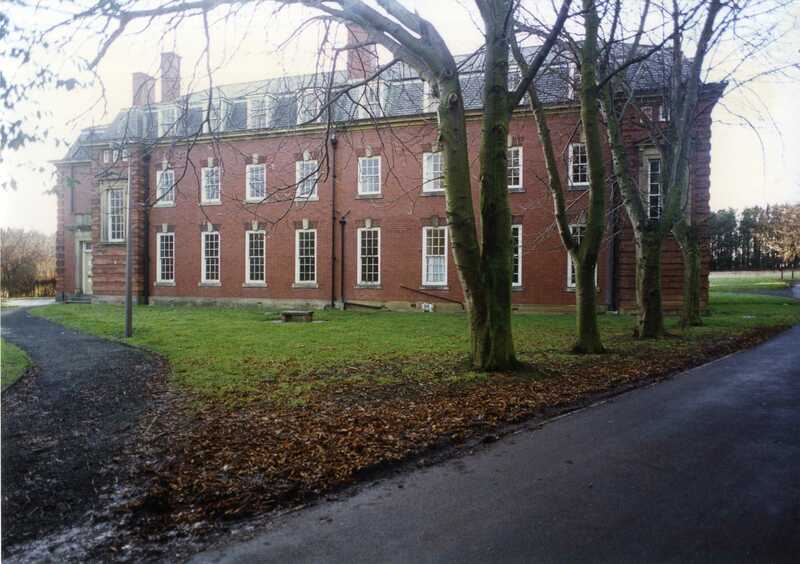 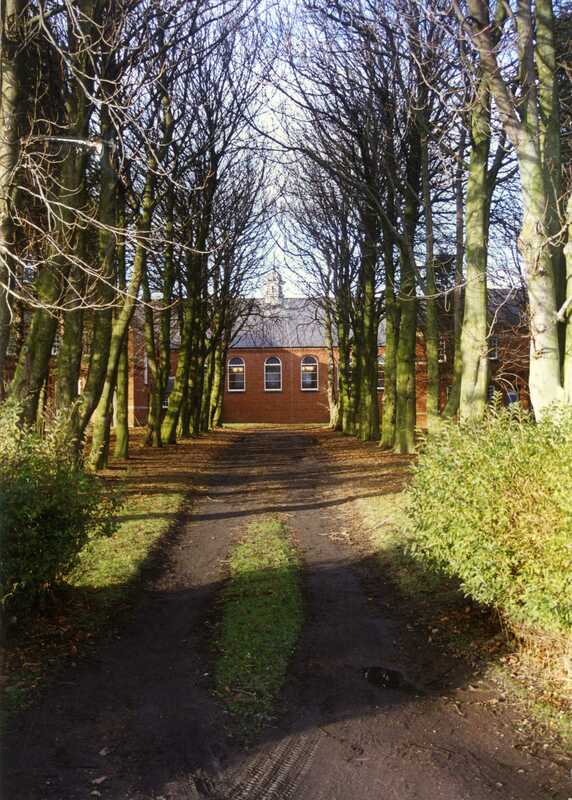 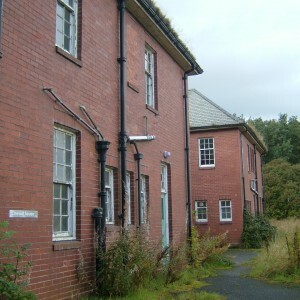 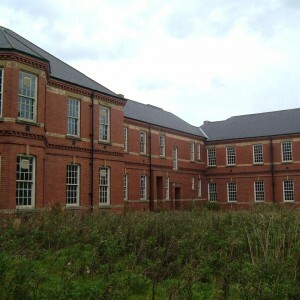 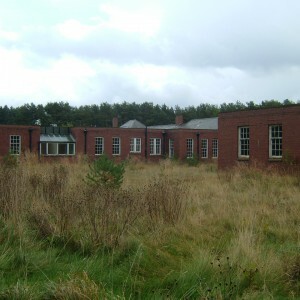 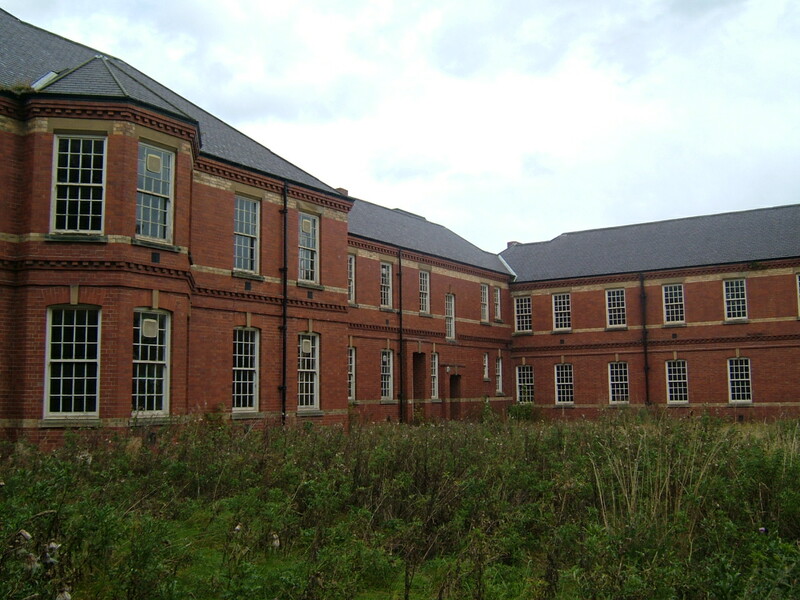 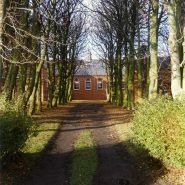 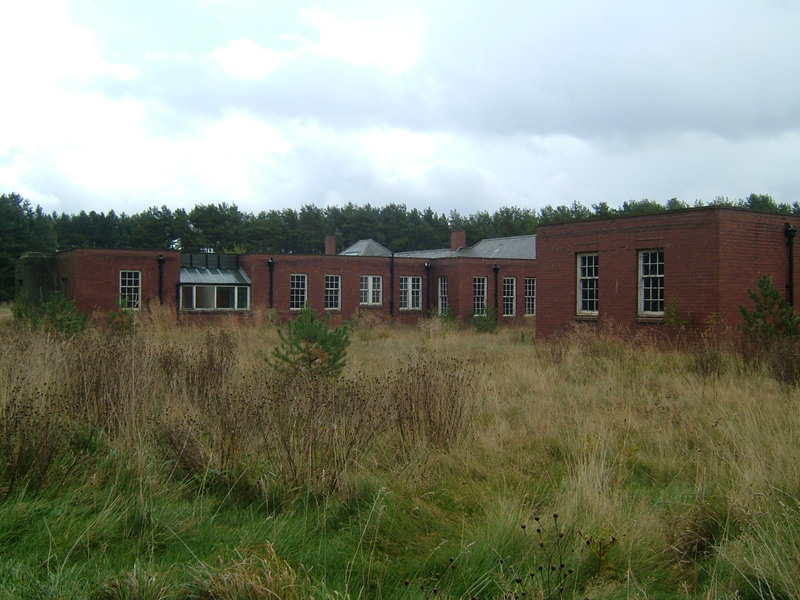 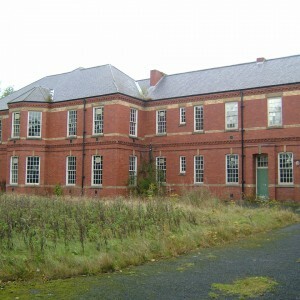 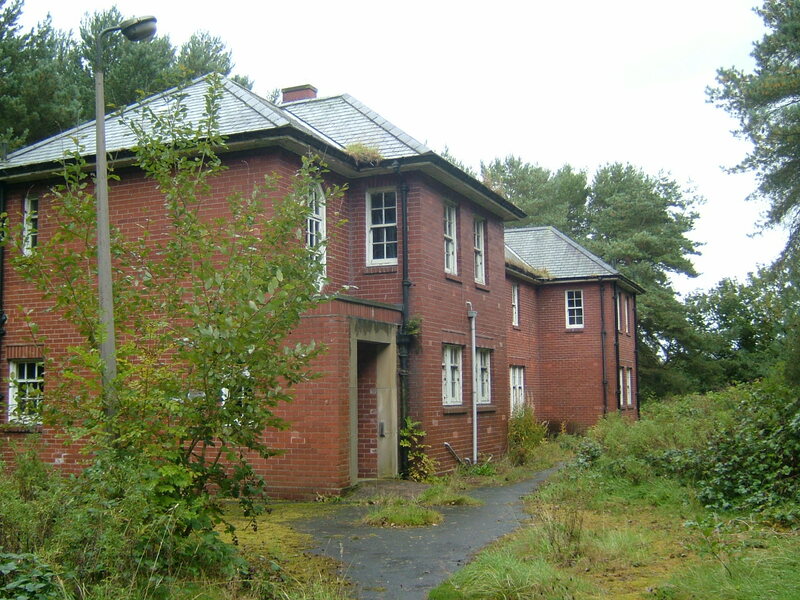 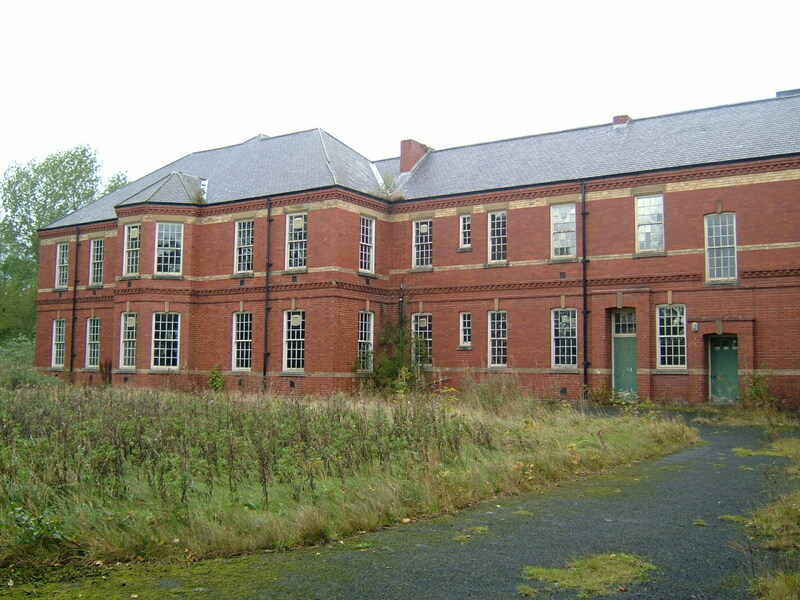 Built in plain red brick with slate rooves, the new units provided ten further pairs of staff cottages, two additional blocks flanking the main building, male and female detached working chronic blocks and a large admission and treatment hospital with convalescent villas at the north of the site. 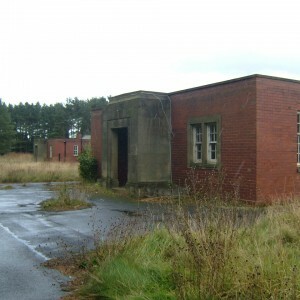 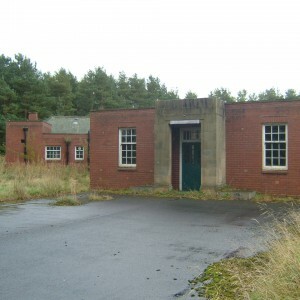 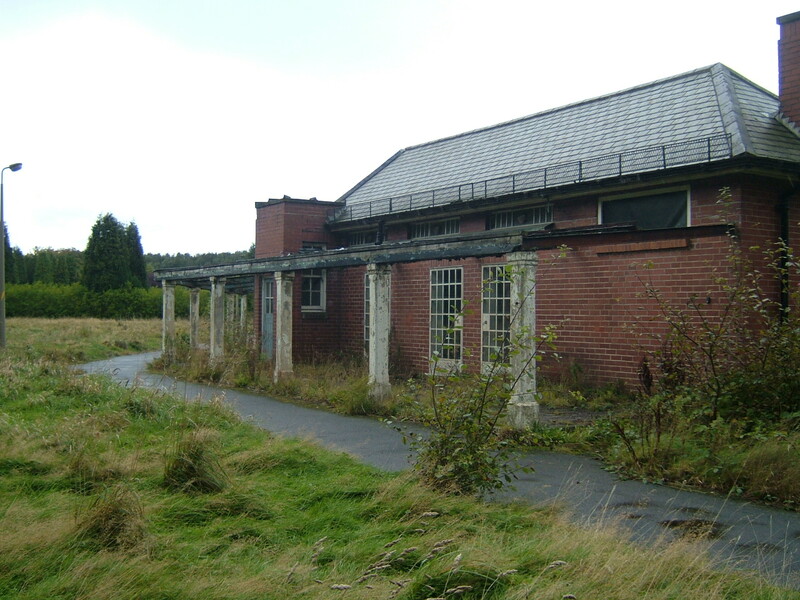 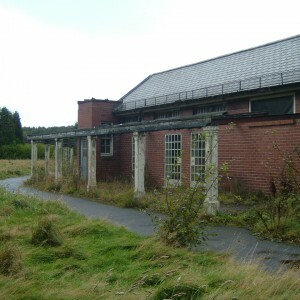 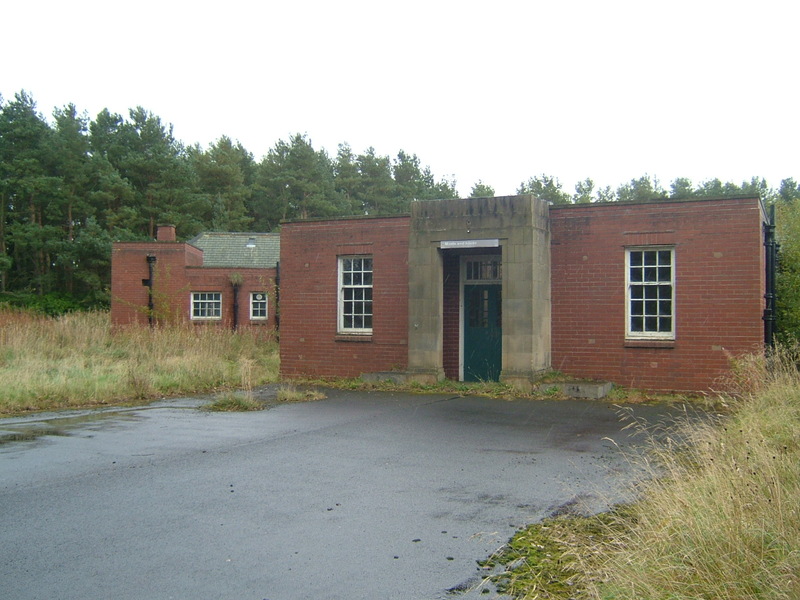 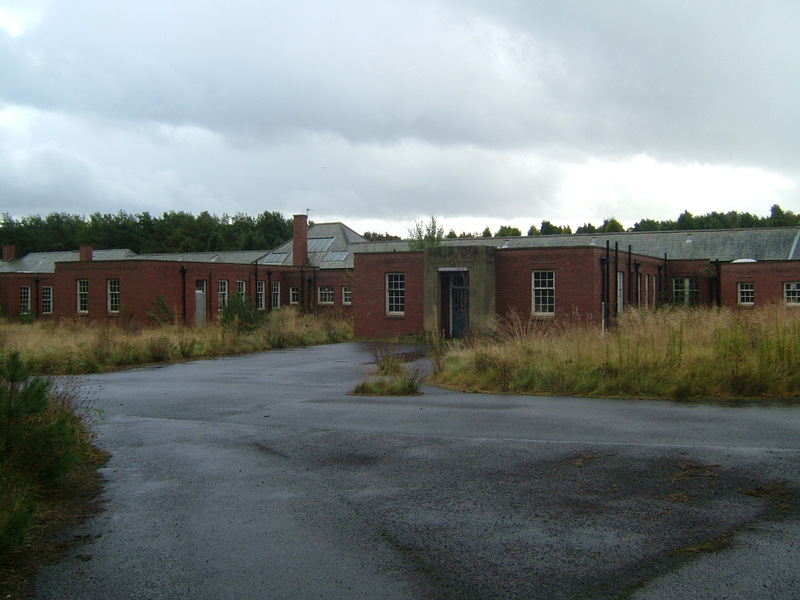 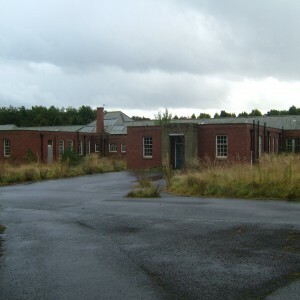 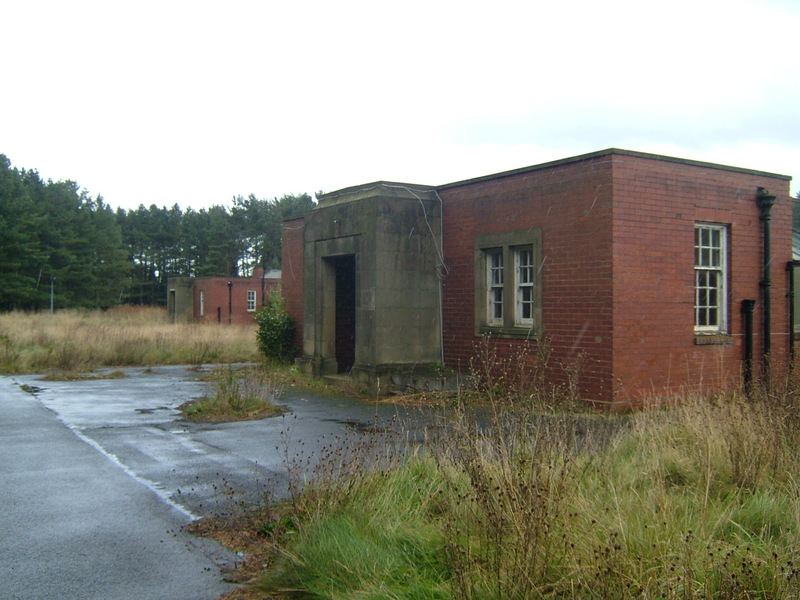 World War II led to the development of a hutted Emergency medical services hospital (later the Burnholme unit) to the north of the admission unit, which was also requisitioned. 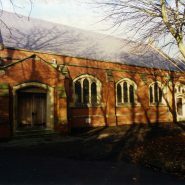 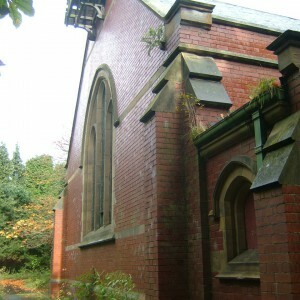 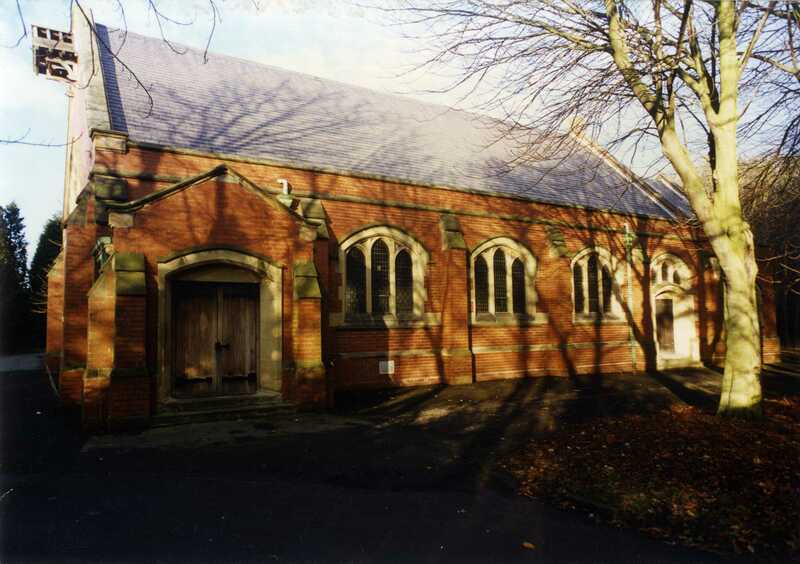 Peacetime brought about the creation of the National health service, under which the hospital became known as St. Mary’s – named after the Stannington parish church. 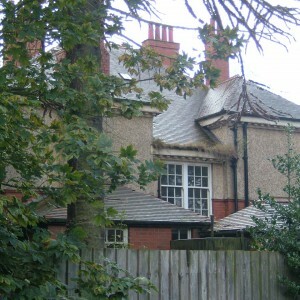 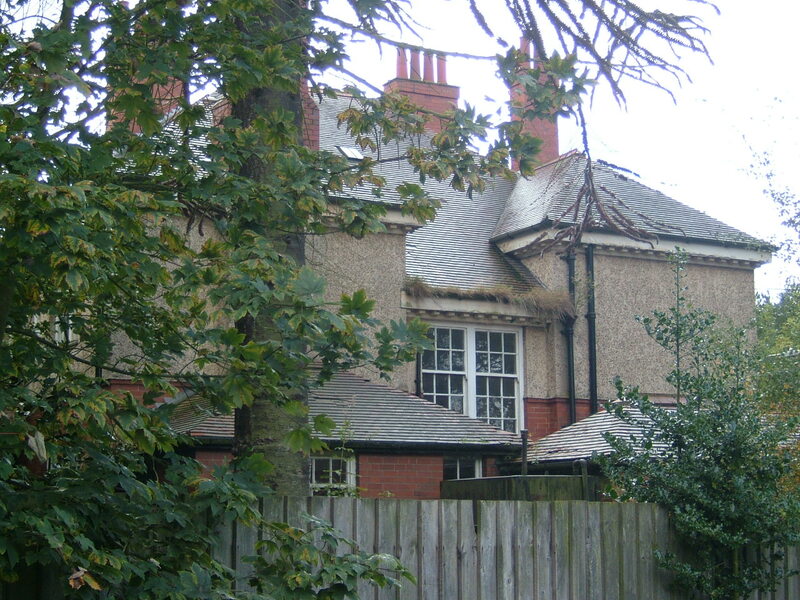 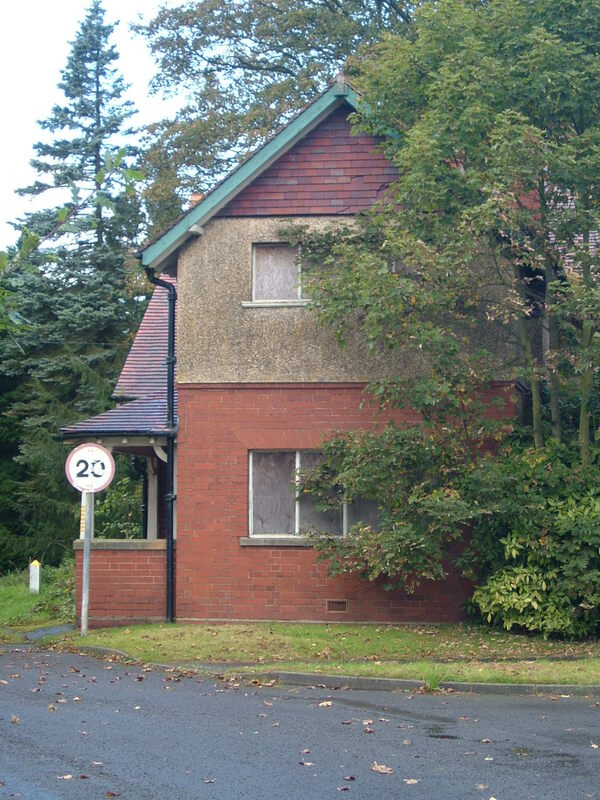 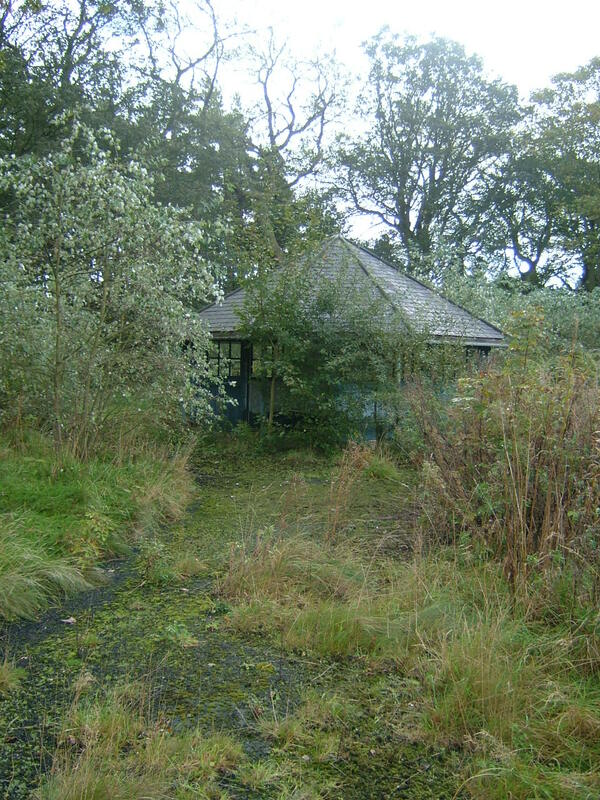 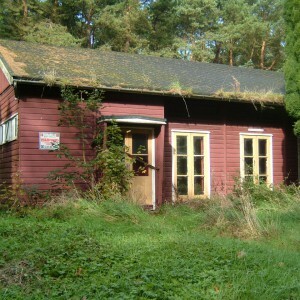 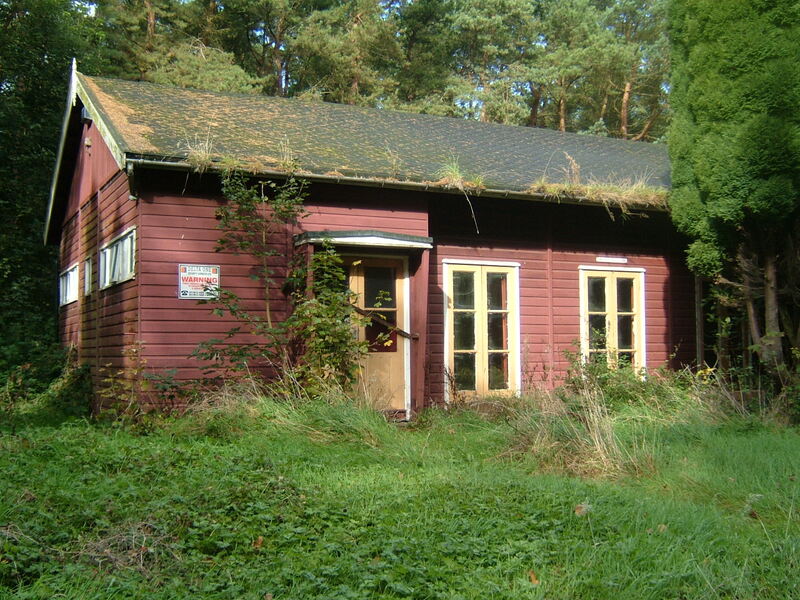 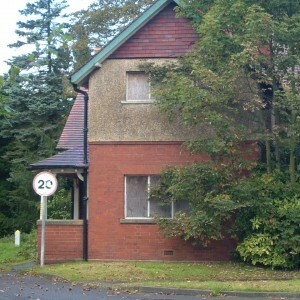 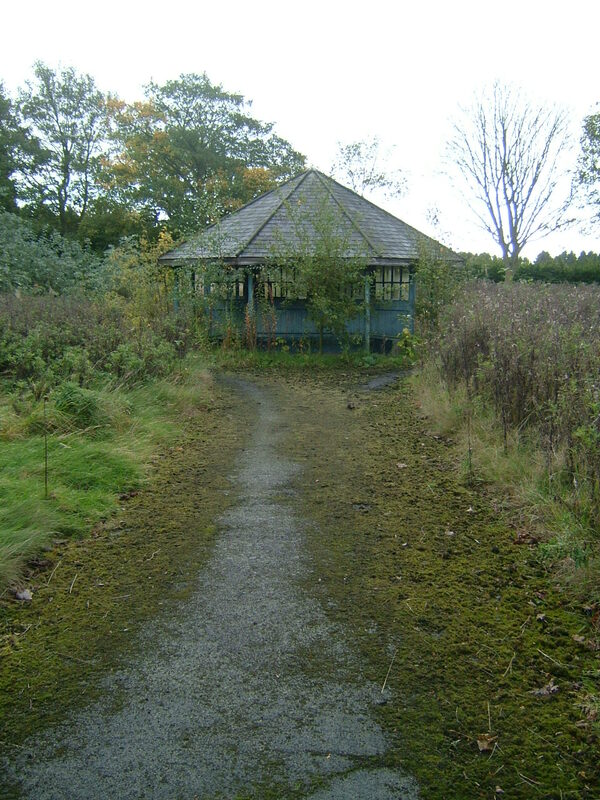 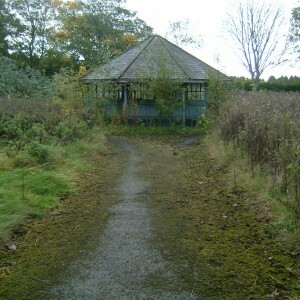 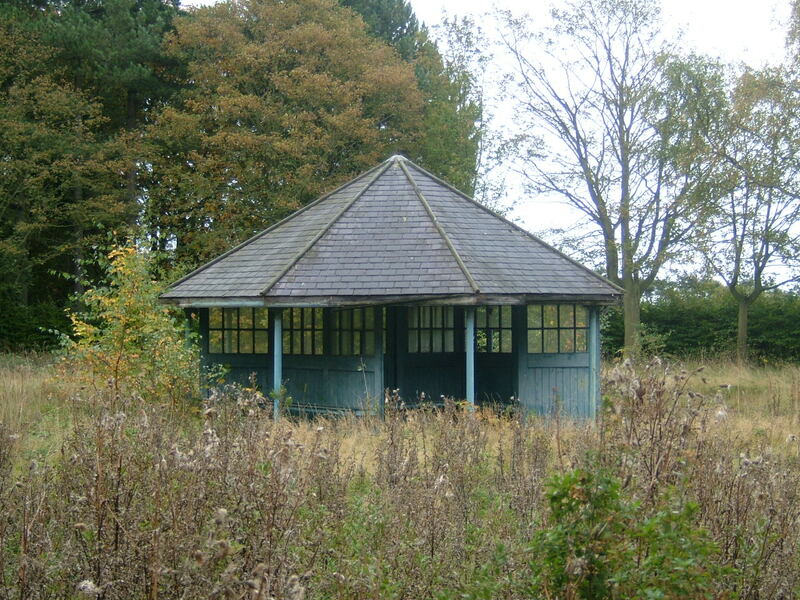 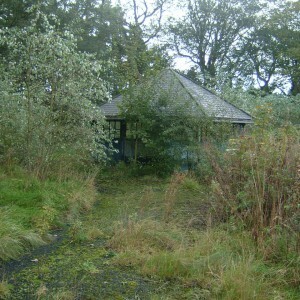 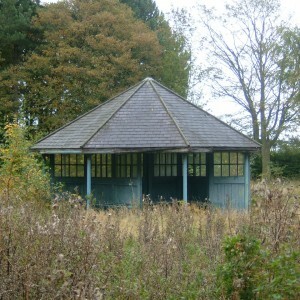 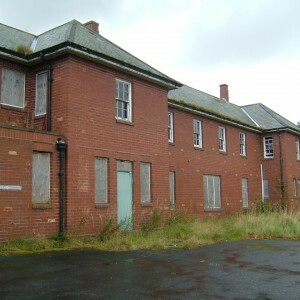 The hutted emergency hospital was converted to house mental defectives. 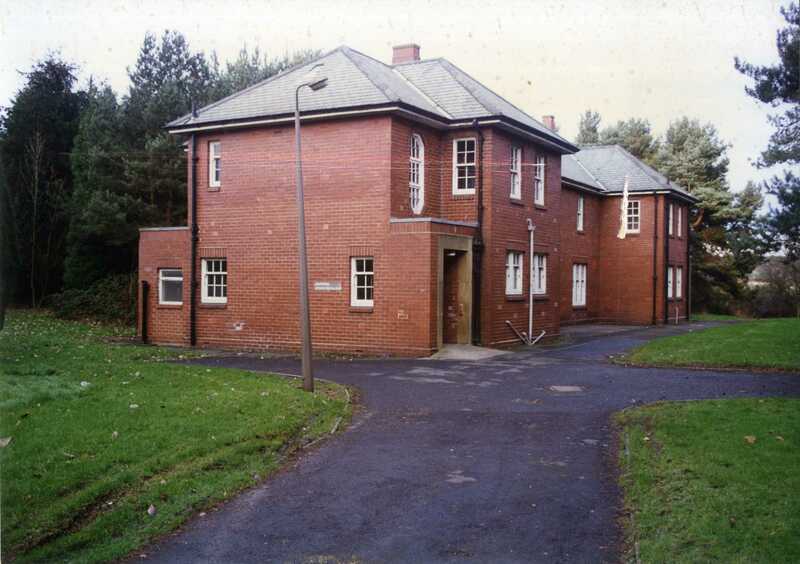 Limited development under the NHS consisted of a new staff training school and a number of prefabricated units providing social and occupational therapy facilities. 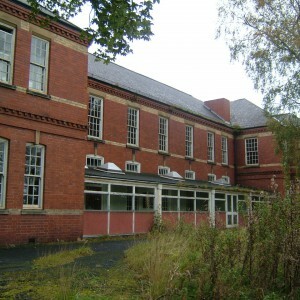 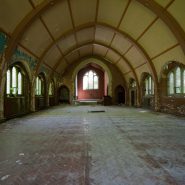 Resettlement and closure led to retraction of wards and services back into the main building, with the areas to the north closing first. 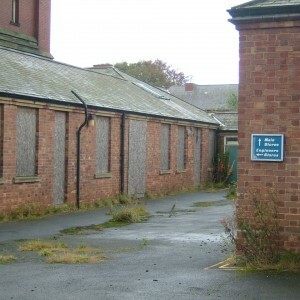 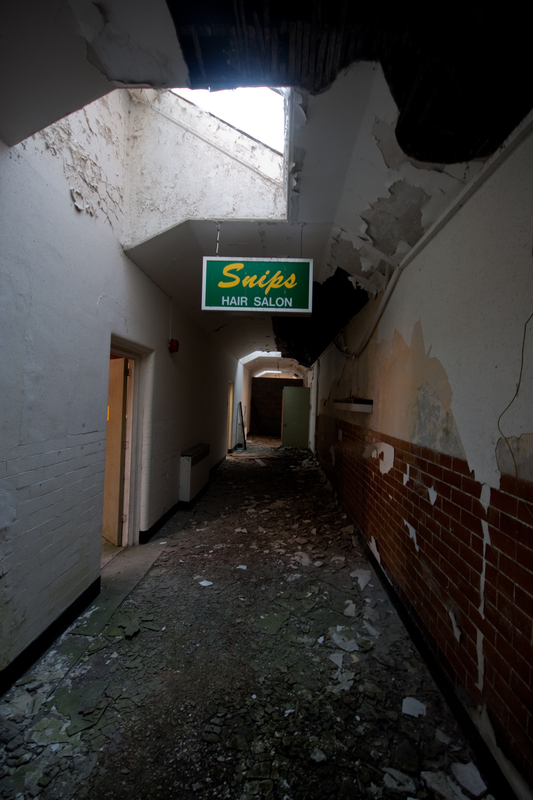 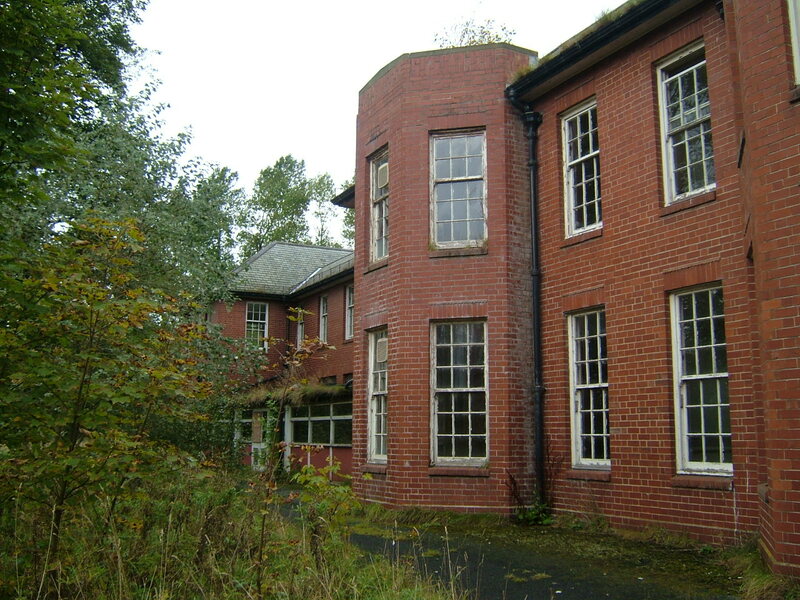 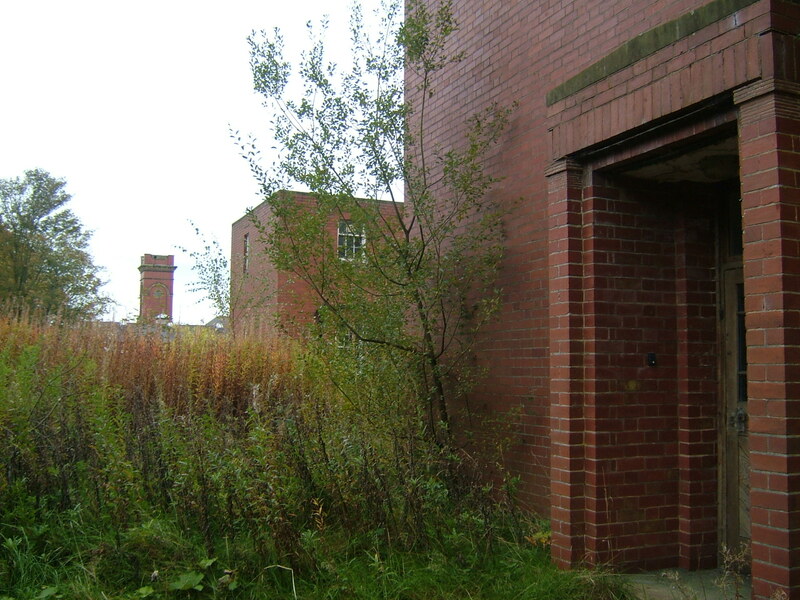 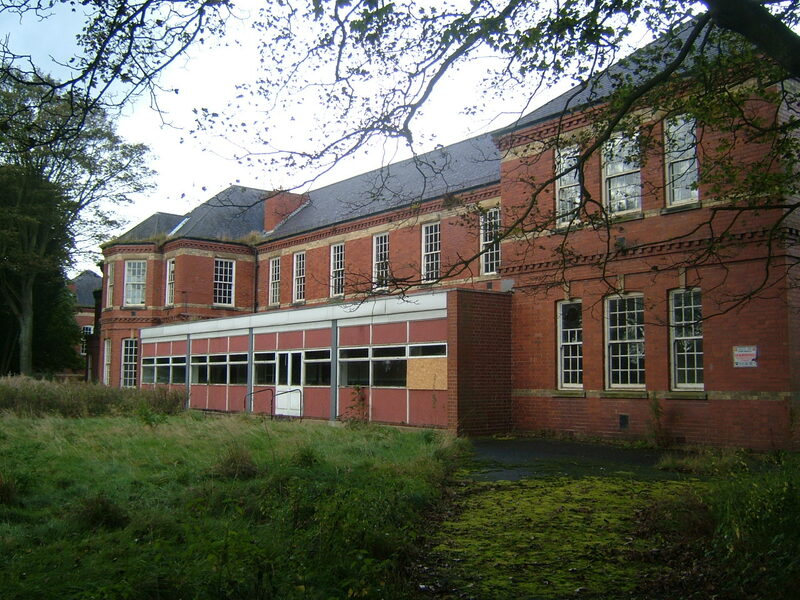 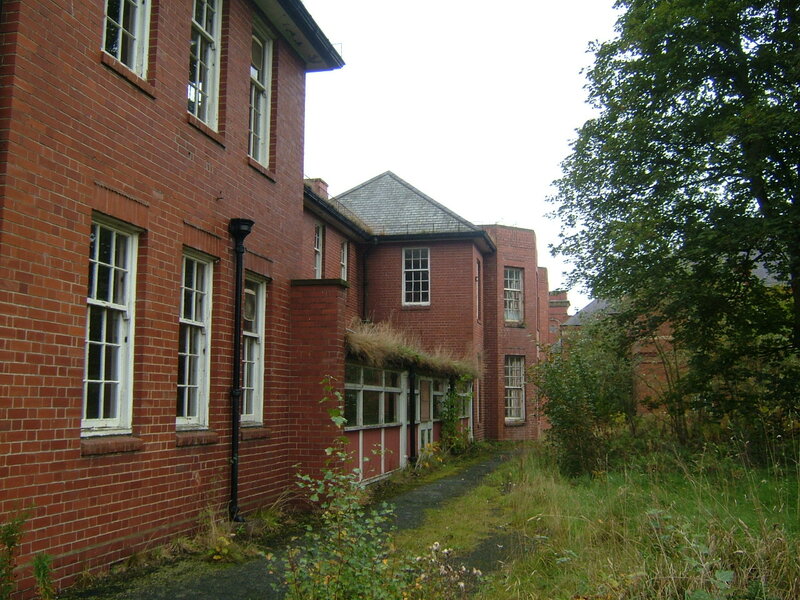 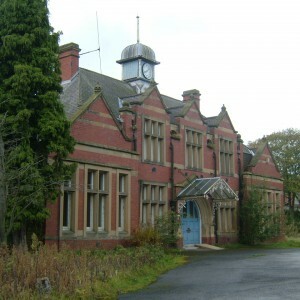 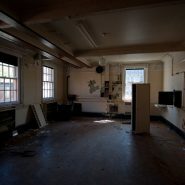 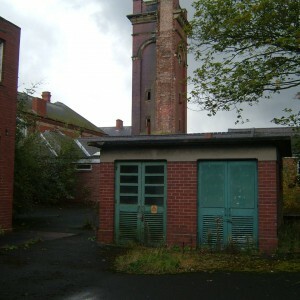 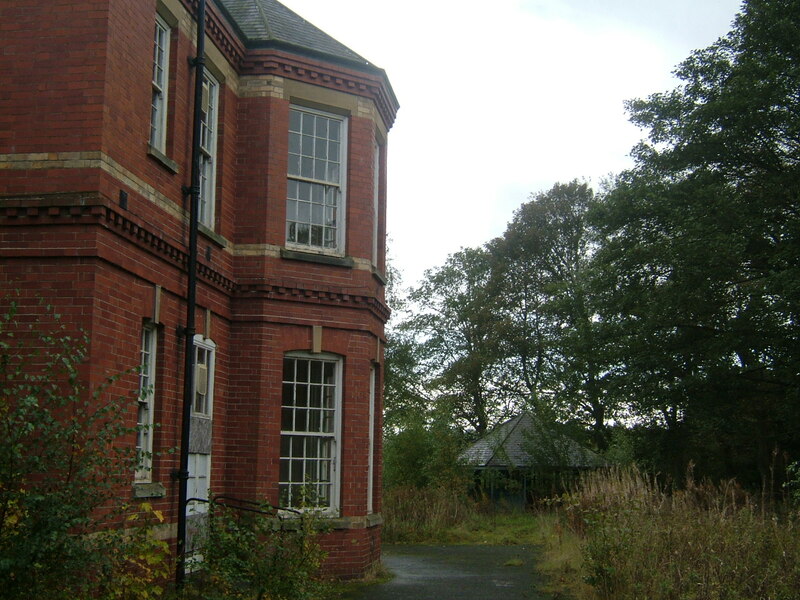 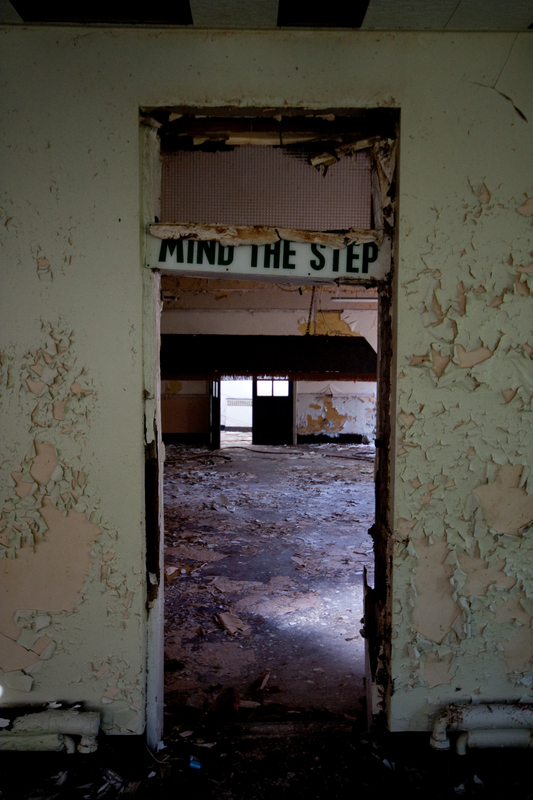 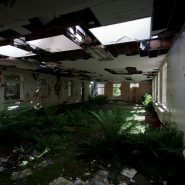 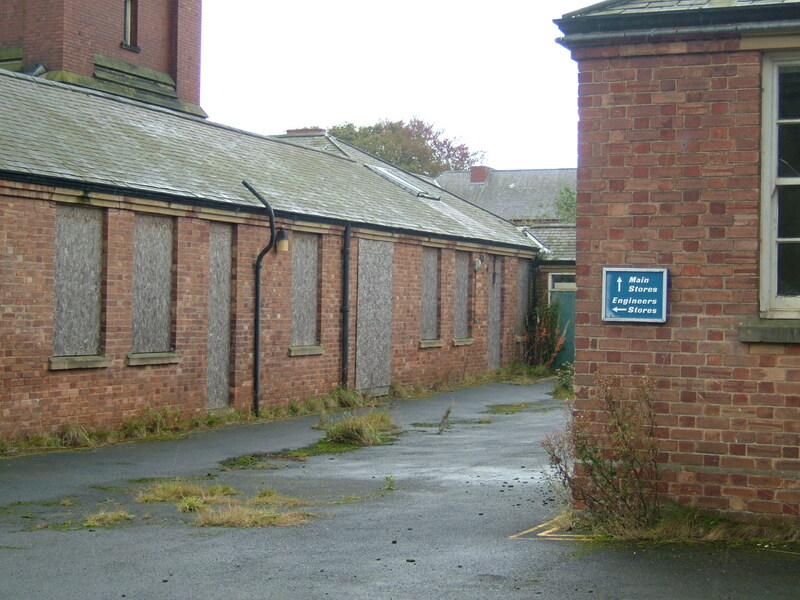 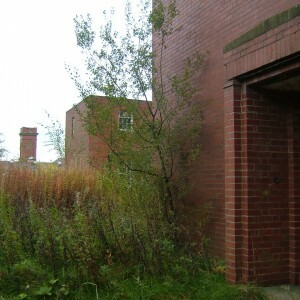 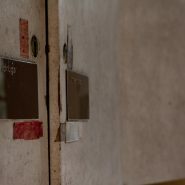 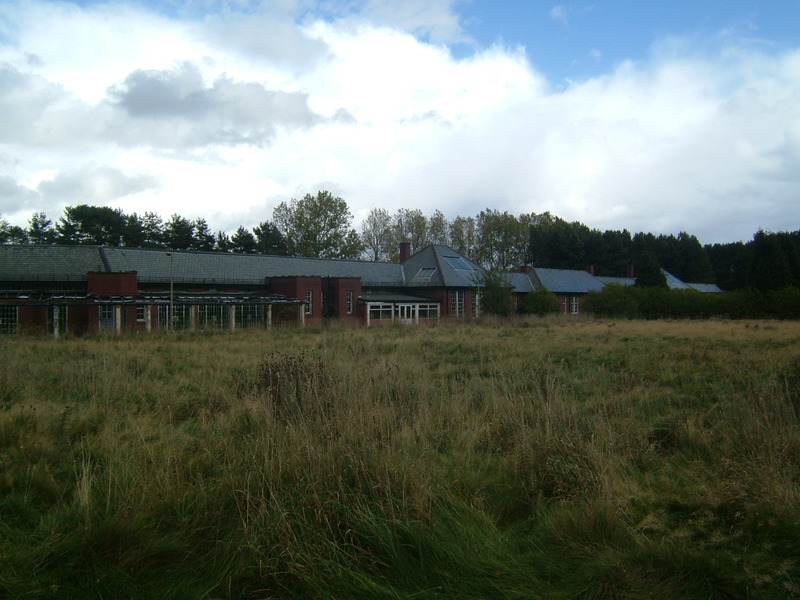 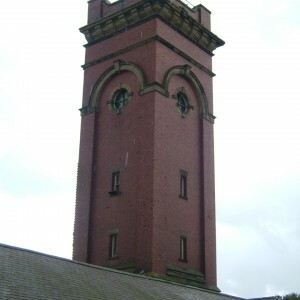 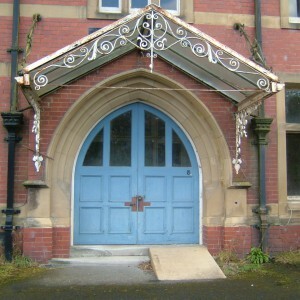 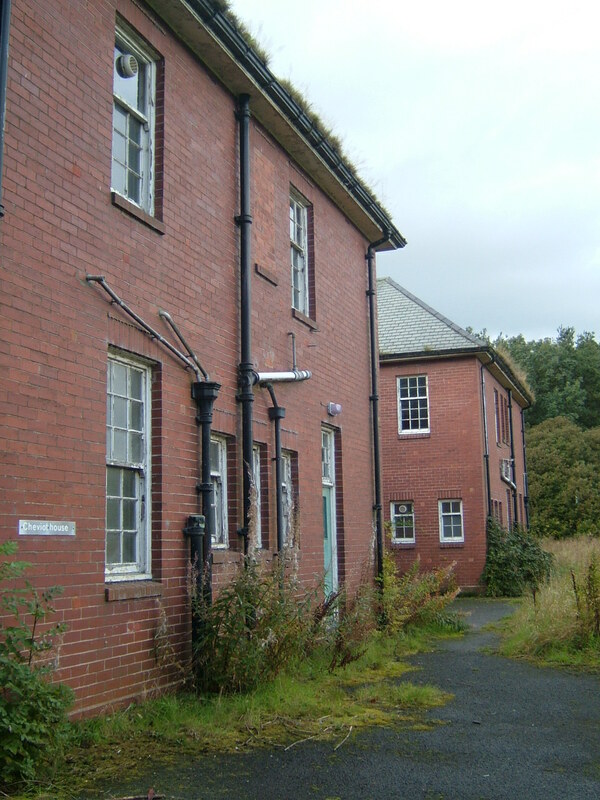 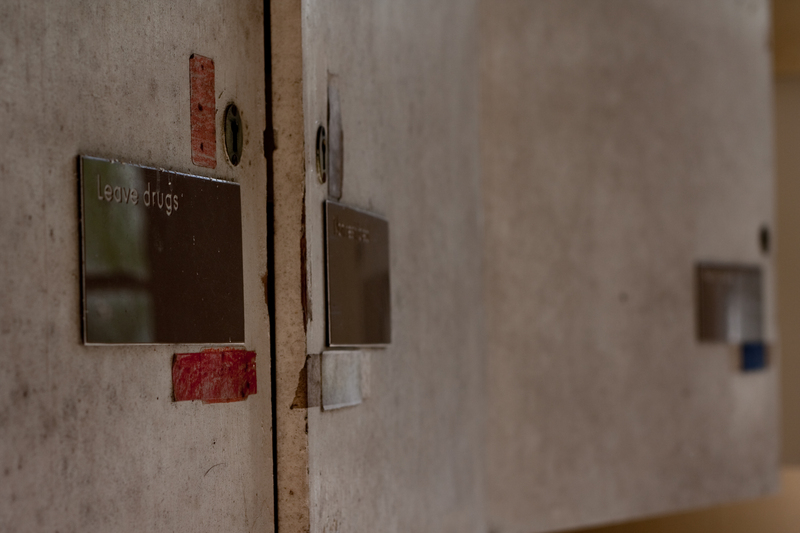 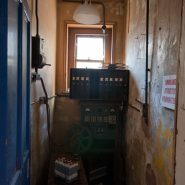 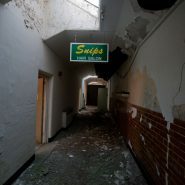 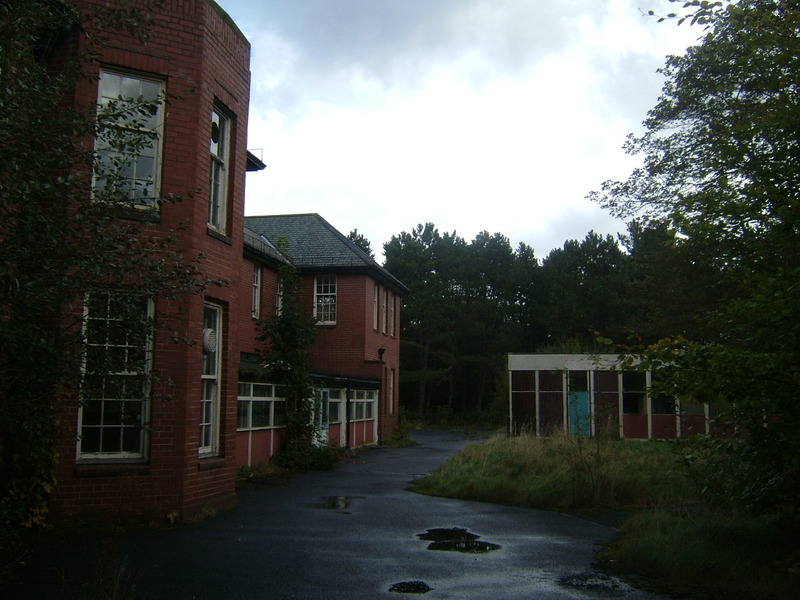 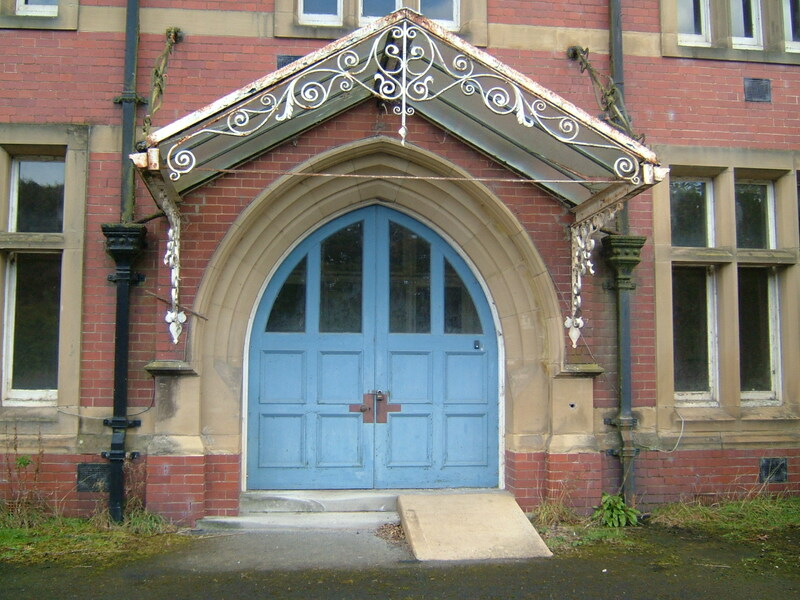 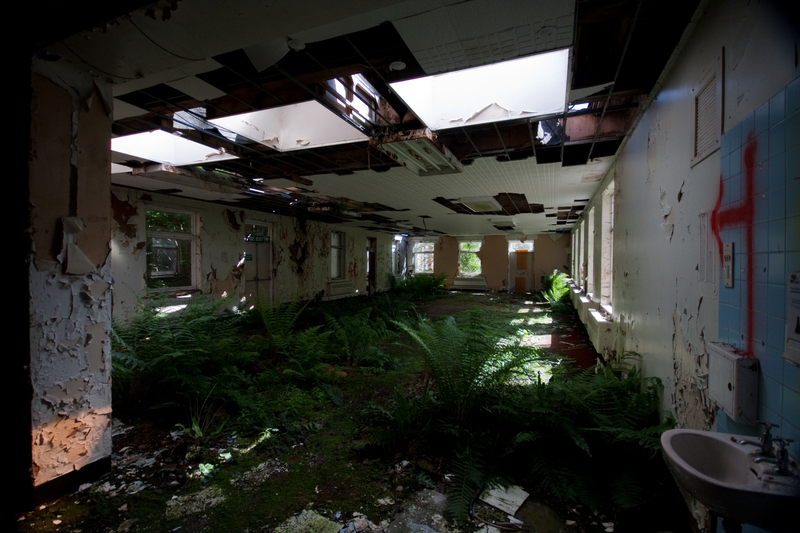 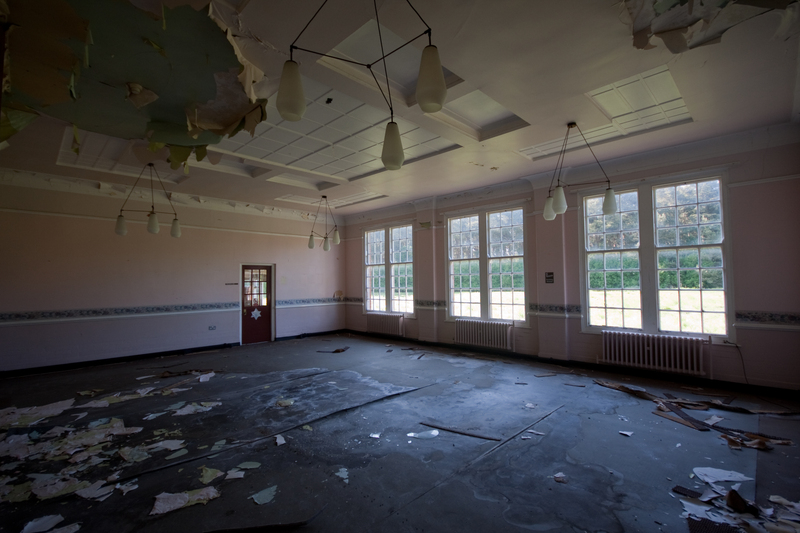 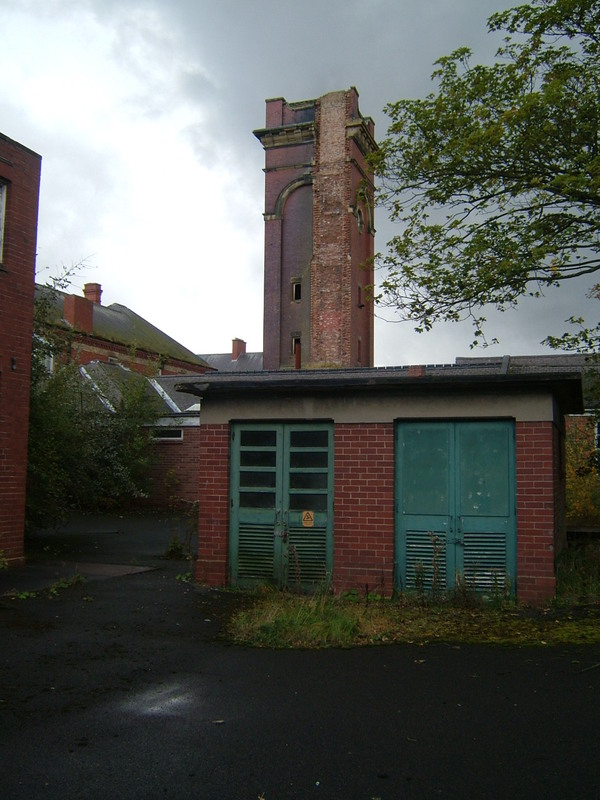 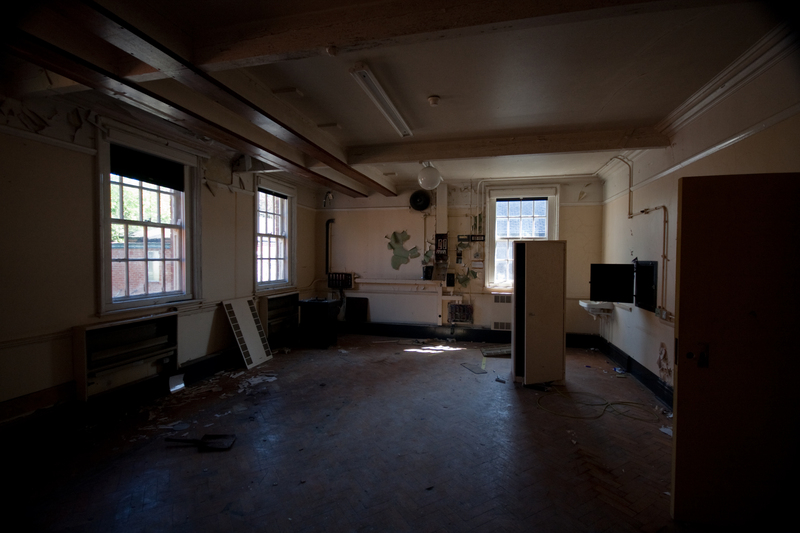 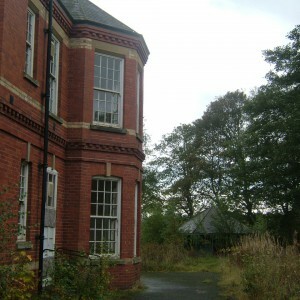 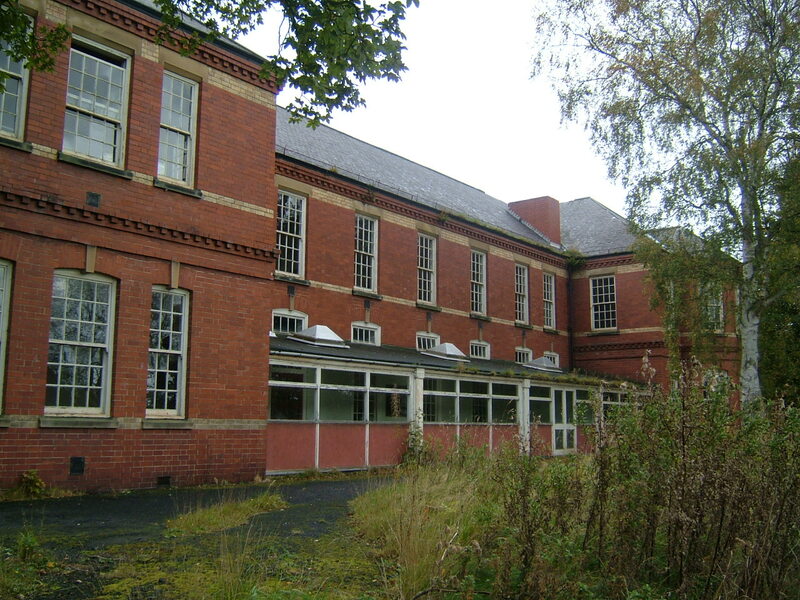 Despite the hospitals remote location, and considerable distance from it’s catchment area, it remained open as late as 1995 when most surviving facilities were relocated to Bensham general hospital. 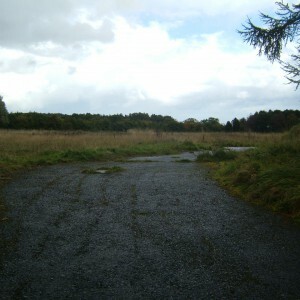 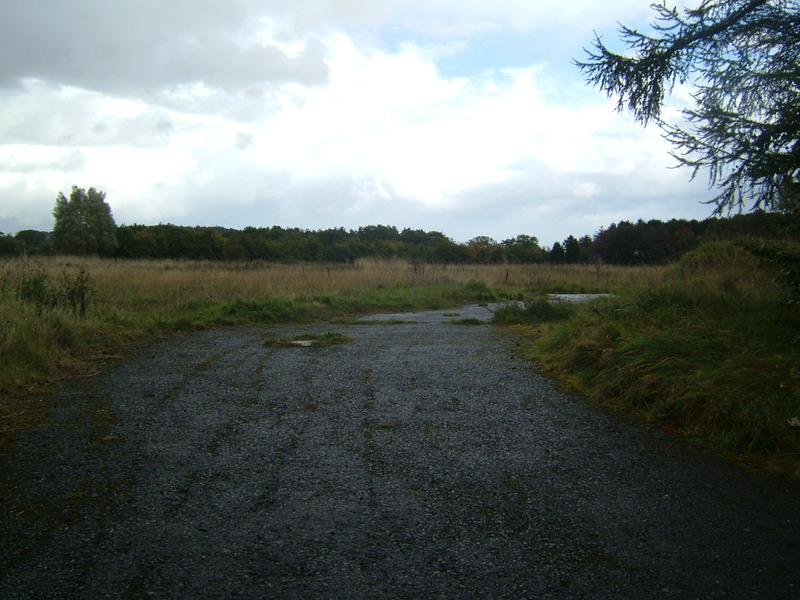 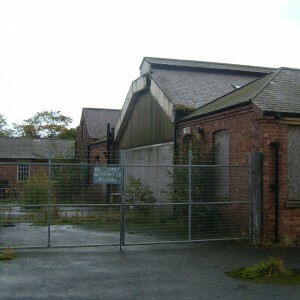 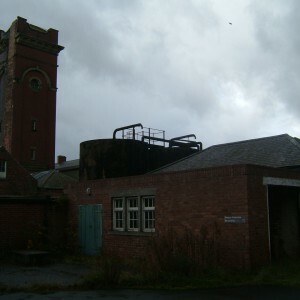 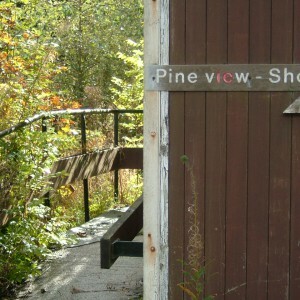 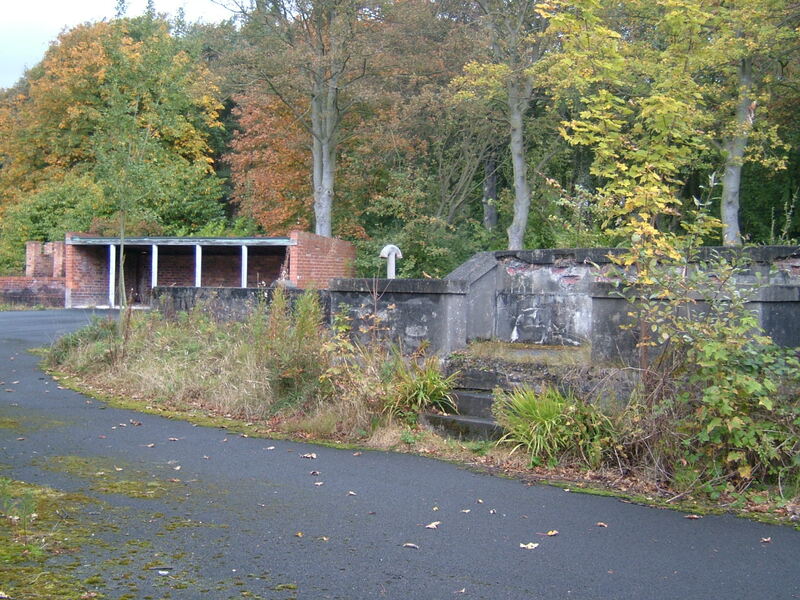 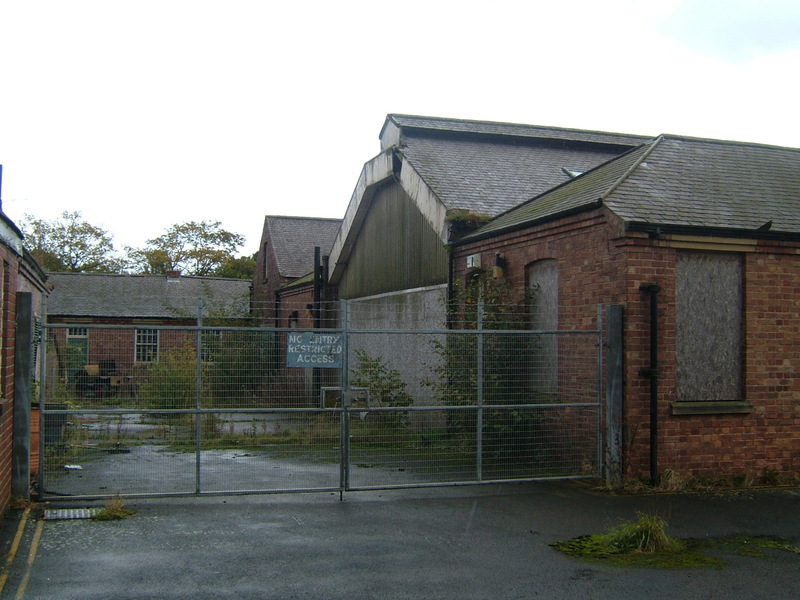 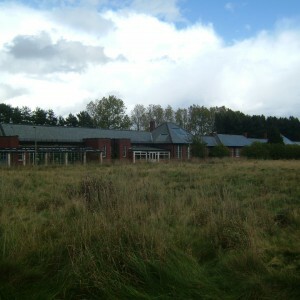 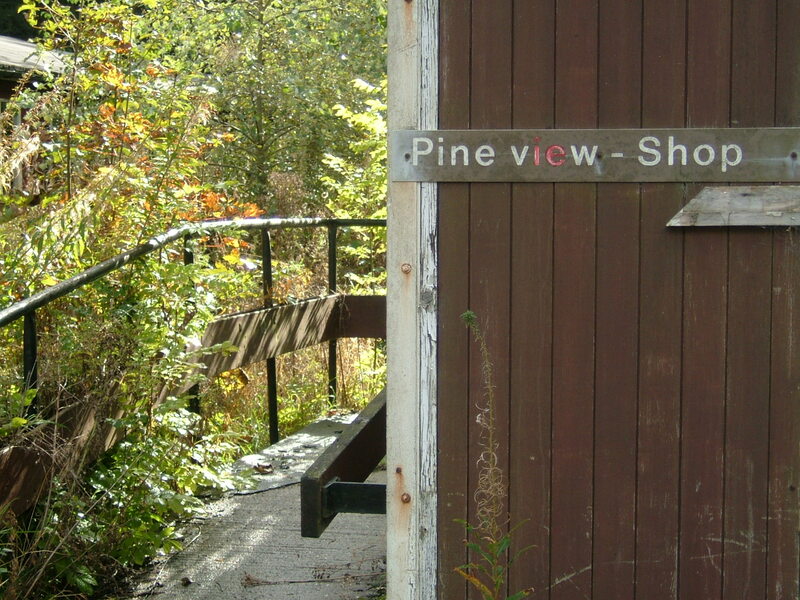 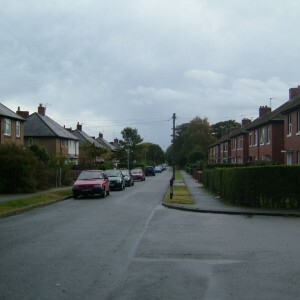 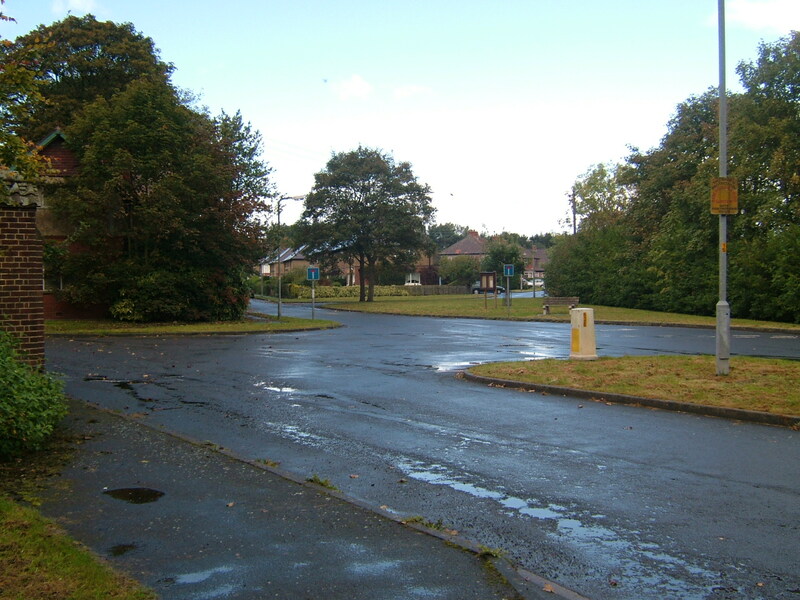 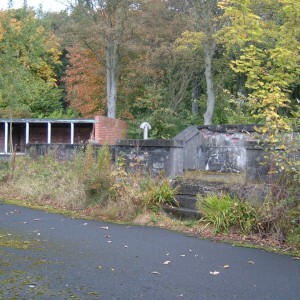 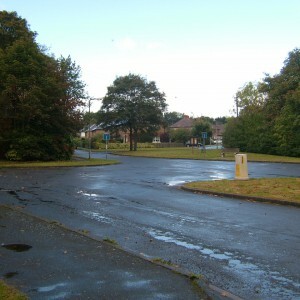 After the closure, the site remained undeveloped for many years with the majority of structures intact with the exception of the Burnholme unit, whose hutted buildings were demolished. 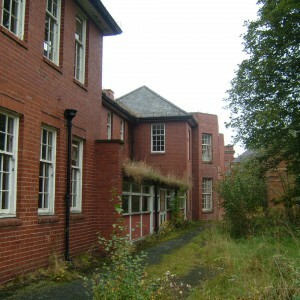 The main hospital grounds were listed Grade II due to their largely unaltered layout. 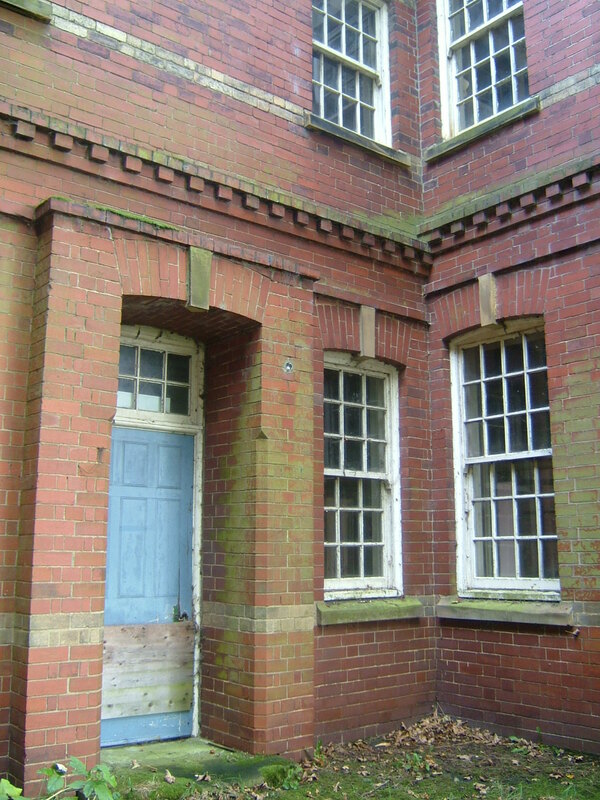 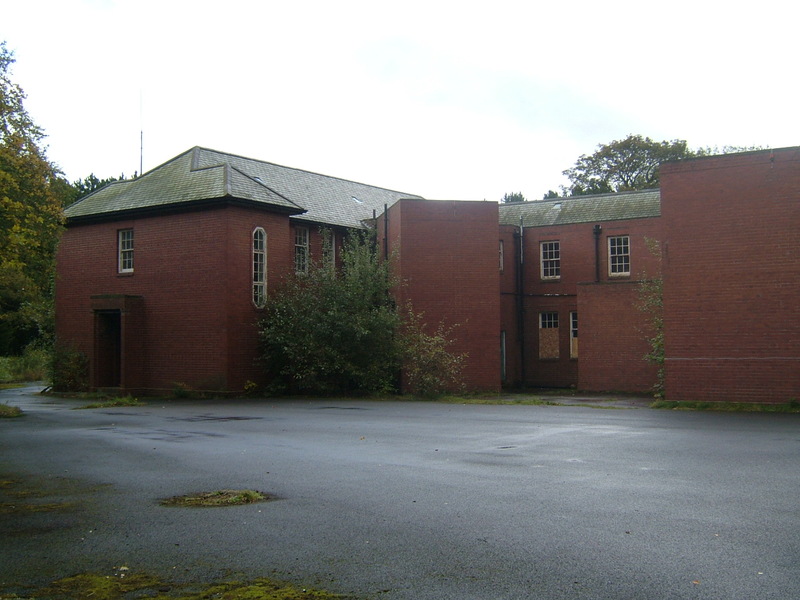 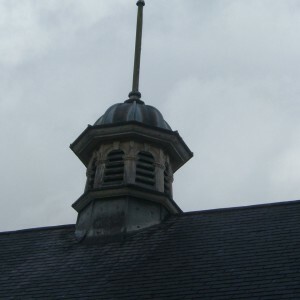 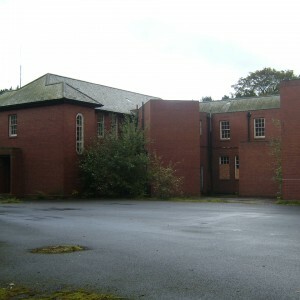 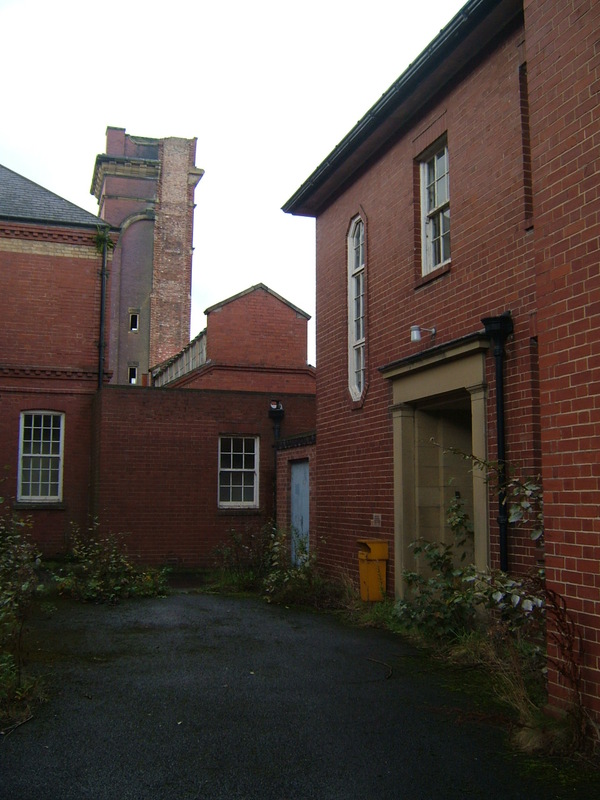 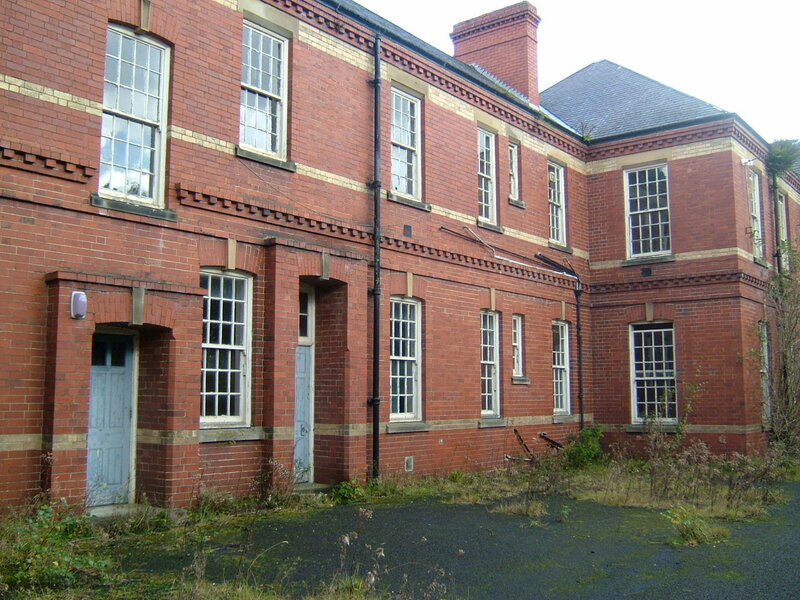 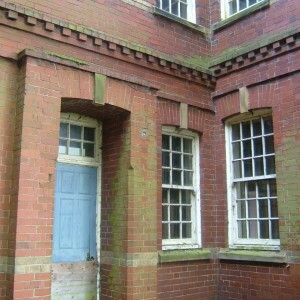 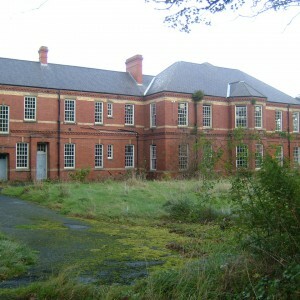 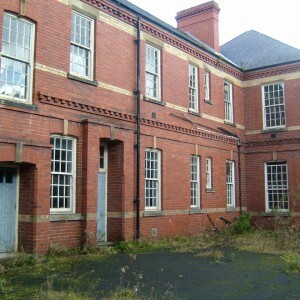 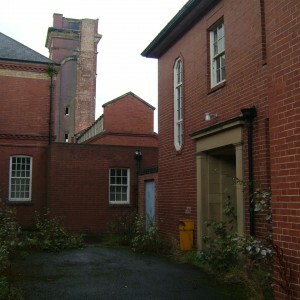 The hospital buildings themselves were subsequently stripped in anticipation of conversion to housing with utilitarian structures and later additions being cleared. 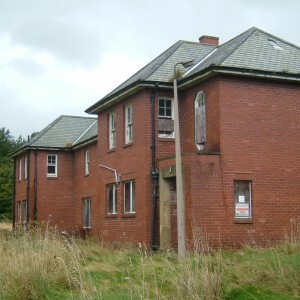 This did not occur, however, and the majority of the remaining structures were demolished with exception of the administration block, chapel, former superintendent’s residence the former having been refurbished for use as a pub-restaurant and the latter as a private residence. 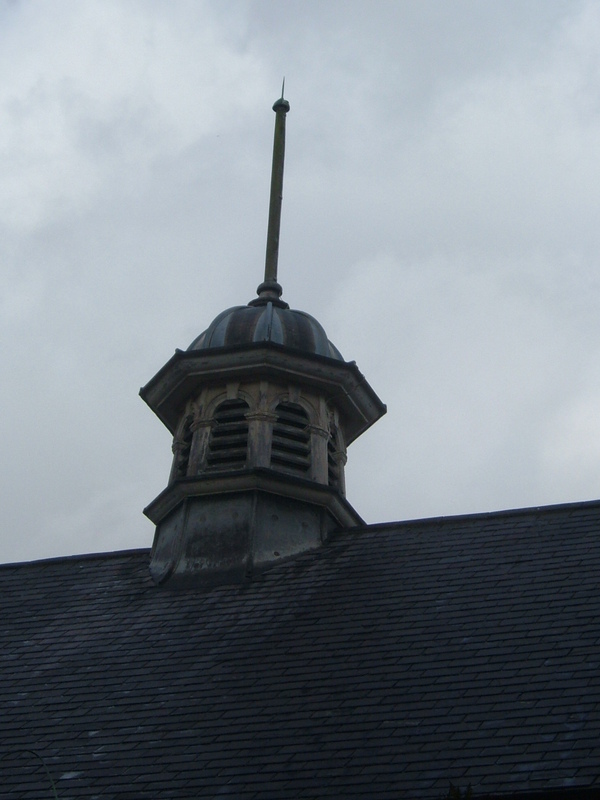 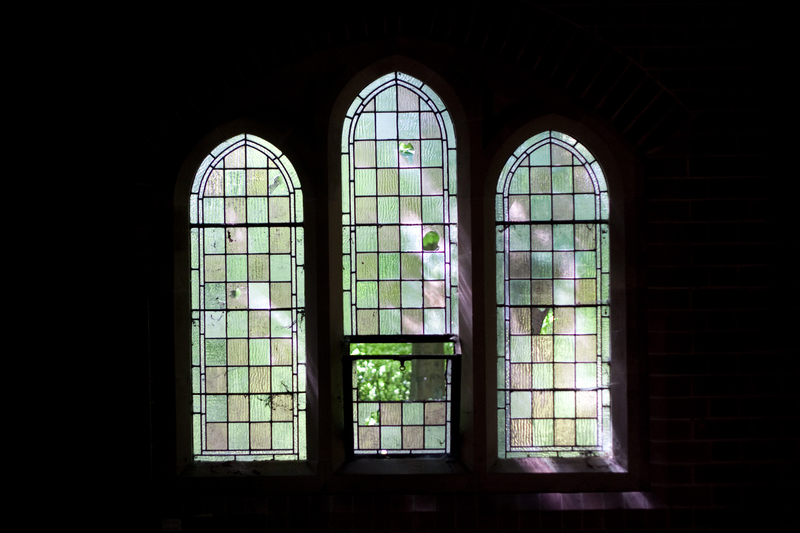 Just to let everyone know….as of 25/10/15 – only the chapel, Ashley House and two other out-buildings survive. 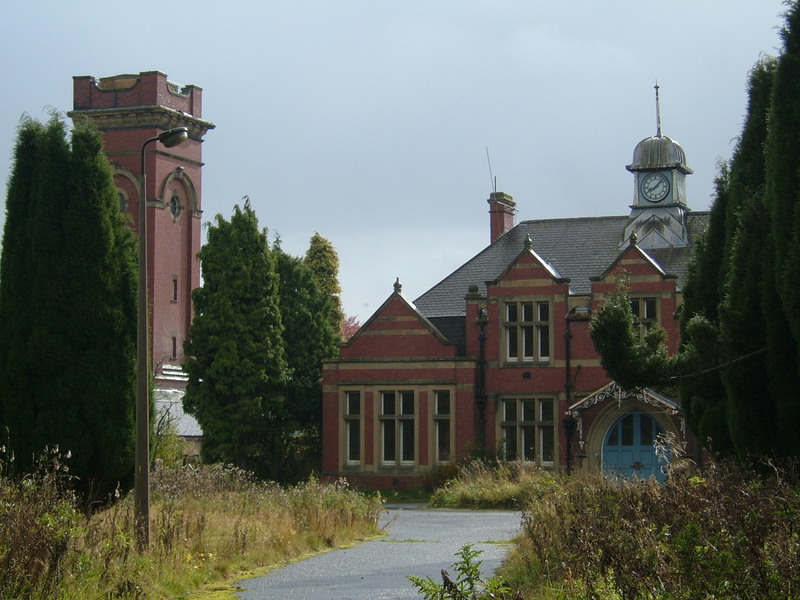 The entire of the main hospital including water tower (excluding the now converted small admin building) has been demolished un-expectedly, after years of stripping and making safe for conversion into apartments. 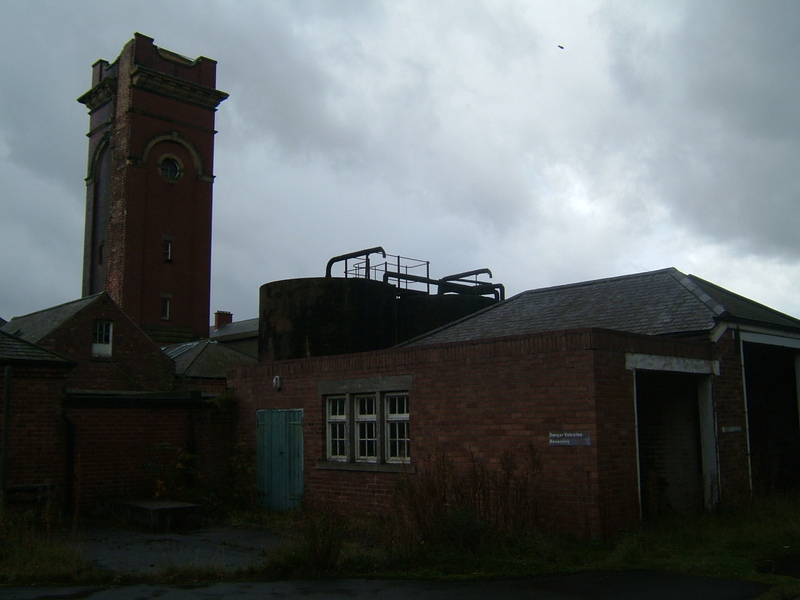 Very very sad end to a fascinating site. 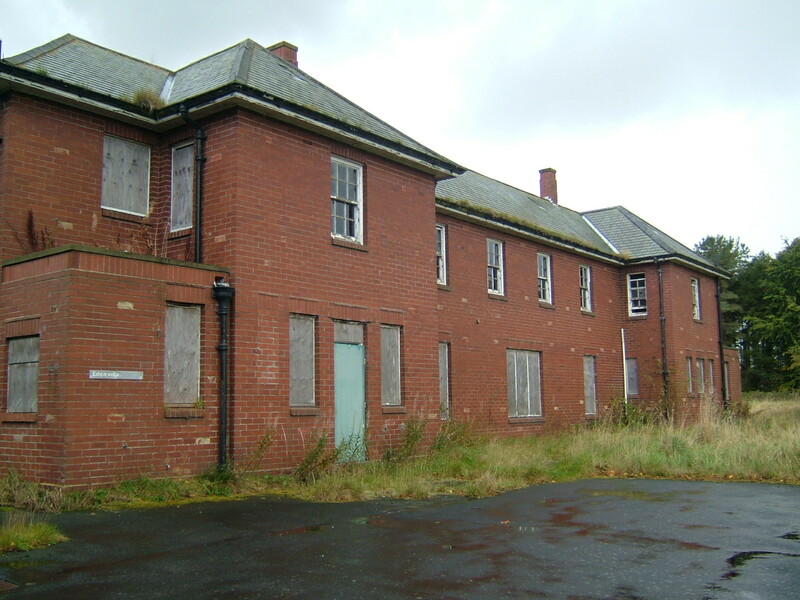 It will now be replaced with run-of-the-mill uninspired housing. 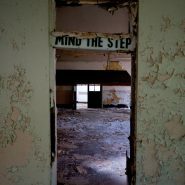 Thanks KillaPowa, I’ve updates the information in the history section accordingly to include this update.